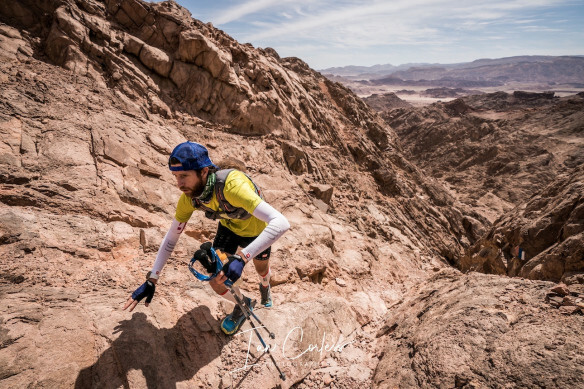 Some ultra runners have completed 631 miles or more within 10 days but have any done so on a trail as tough as the one Michael Wardian is running in Israel? The Israel National Trail (INT) is an approximately 1015km / 631mi hiking trail that crosses Israel from its southern to northern border, traversing a wide range of landscapes, a rich variety of flora and fauna, and a diversity of cultures. The trail stretches from Eilat on the Gulf of Aqaba to the Dan Kibbutz near the Lebanese border, and was named by National Geographic as one of the 20 best "epic hiking trails" in the world. We believe the most likely Fastest Known Time on the INT to be set at 15 days in 2013 by Australian Richard Bowles. 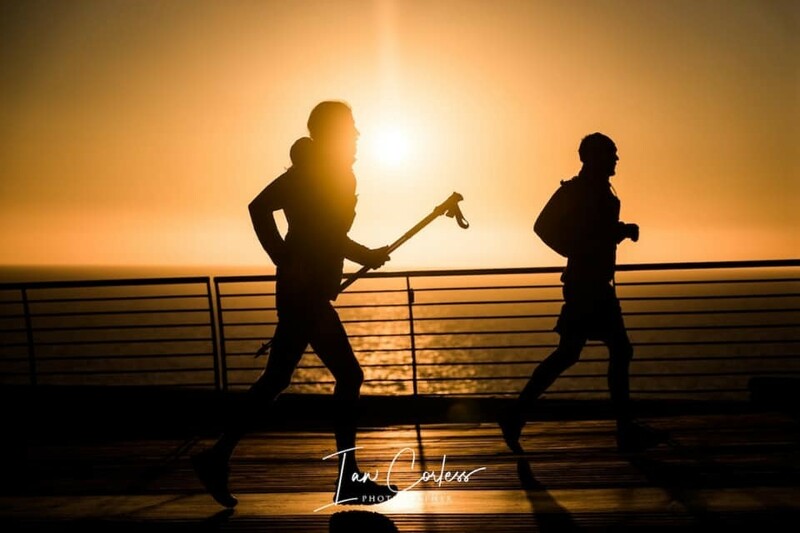 On March 12th, 2019, Michael Wardian began his attempt to complete the trail in 10 days. Wardian is a prodigious American marathoner and ultra-marathoner with a lengthy list of podium finishes at distances from half marathon to 100 miles, with world records such as the fastest time for 7 marathons on 7 continents in 7 days, and the fastest 50k on a treadmill, and who has completed many of the worlds most challenging races. In September 2018 Wardian ran the 184.5 mile C&O Canal Towpath in an FKT of 36h36m, beating Park Barner's 1976 time by just 12 minutes! Michael is eight days in and has covered 776k with 241k to go according to the website Fastest Known Time which tracks these types of events. Photos by Ian Corless. A decade ago, at 42, Kami Semick reached the pinnacle of ultrarunning. 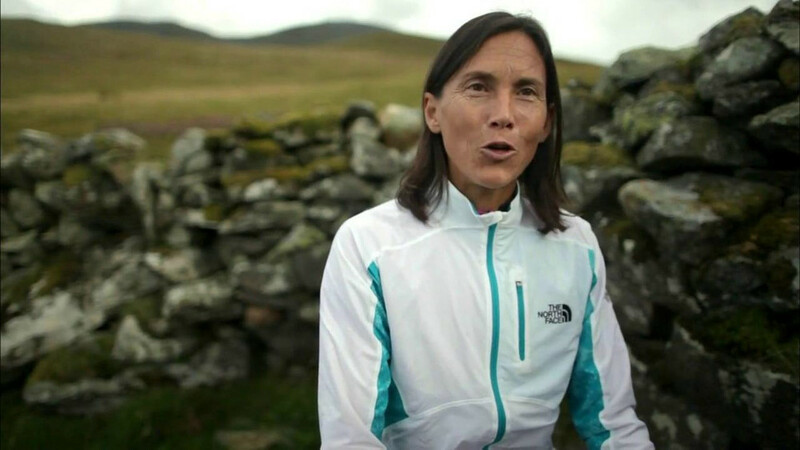 She won every race she entered in 2009, including two world championship events in the 100k and 50k, and earned UltraRunning’s Ultrarunner of the Year title for the second year in a row. But five years later, she called it quits and disappeared from the sport. Fast forward another five years to now, and suddenly, Semick’s name is popping up again. Eschewing attention-seeking social media posts, she quietly and cautiously began running longer distances again in 2017. She finished two 50-milers and a 100k in her home state last year, then won a 40-miler and 50k in California. 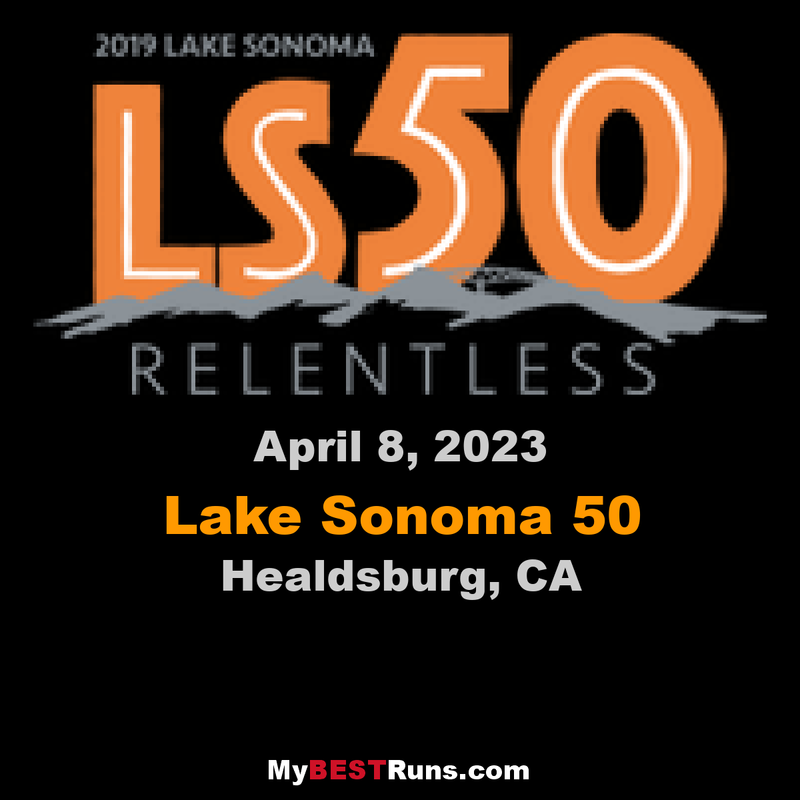 Now she’s getting ready to line up at the hyper-competitive Lake Sonoma 50 in April, and the Lavaredo Ultra 120K in Italy in June. While those newer to the sport might not even recognize Semick, those of us who began ultrarunning in the mid-2000s probably share my excitement at seeing her return. Personally, I’ll never forget The North Face ad campaign from 2006 that showed Semick trail running with her then-4-year-old daughter strapped onto her back. Semick’s muscly physique, fast times at races, and gutsy combination of running and parenting gave female ultrarunners a powerful role model. 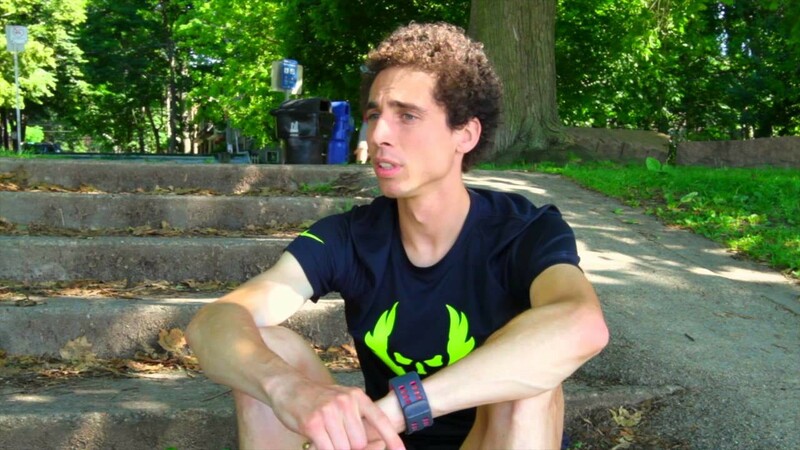 I reached out to Semick to find out what happened, and what it’s like to return to the scene and get ready to race again after a long break after turning 50. She agreed to talk, but with some reluctance as part of her looked forward to showing up to Lake Sonoma without being recognized. With picture perfect weather 20,000 runners and walkers turned the City of Roses green as they celebrated St. Patrick’s Day at Shamrock Run Portland, Oregon’s largest running event, and one of the largest races of its kind on the West Coast. 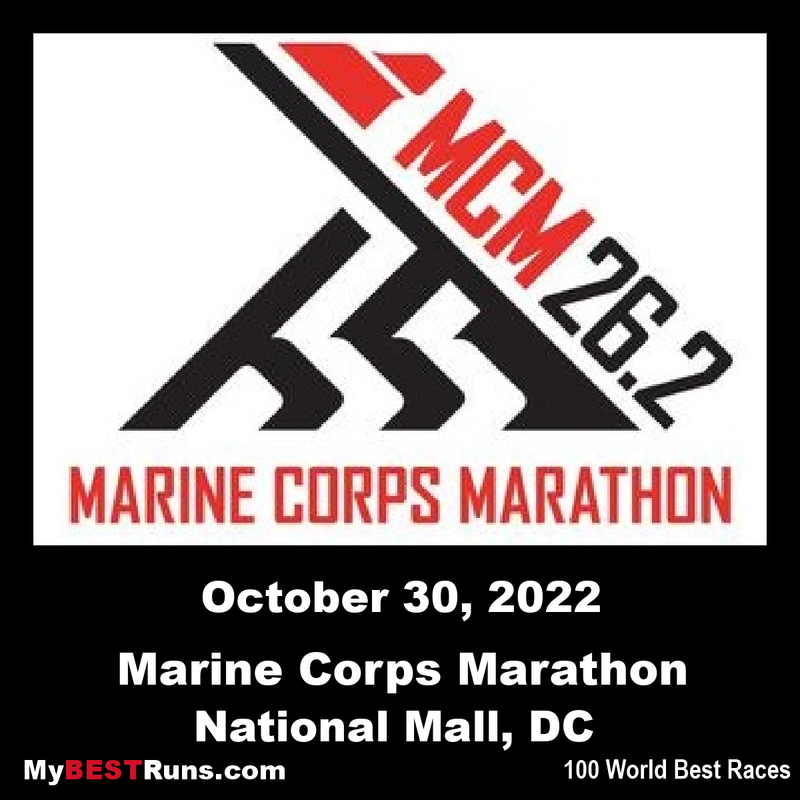 Renowned ultramarathoner and bestselling author, Dean Karnazes, is set to run the inaugural (Marine Corps Marathon) MCM50K on Oct. 27 in Arlington, VA. Karnazes, named by TIME magazine as one of the “100 Most Influential People in the World,” will also be the featured speaker at the MCM Carbo Dining In on Oct. 26, as part of MCM Weekend. The MCM50K sold out in one hour and is set to be the largest ultra in the United States with nearly double the participants of the 2018 record. 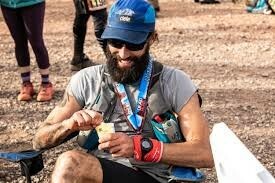 Karnazes will add running with the Marines to his impressive resume that includes running 50 marathons in all 50 states in 50 consecutive days; competing on all seven continents; winning the ESPN ESPY Award for Best Outdoor Athlete; and being a three-time winner of Competitor magazine’s Endurance Athlete of the Year. 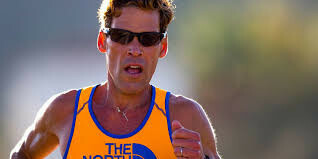 The NY Times bestselling author has pushed his body and mind to inconceivable limits, such as running across the Sahara Desert and the South Pole; 350 continuous miles without sleep for three nights; and as a solo participant in ten different 200-mile relay races. Greek Panagiotis Karaiskos won the 8th Athens Half Marathon on Sunday, setting a new record time for the course in the center of the Greek capital, the Hellenic Track and Field Federation (SEGAS) announced. 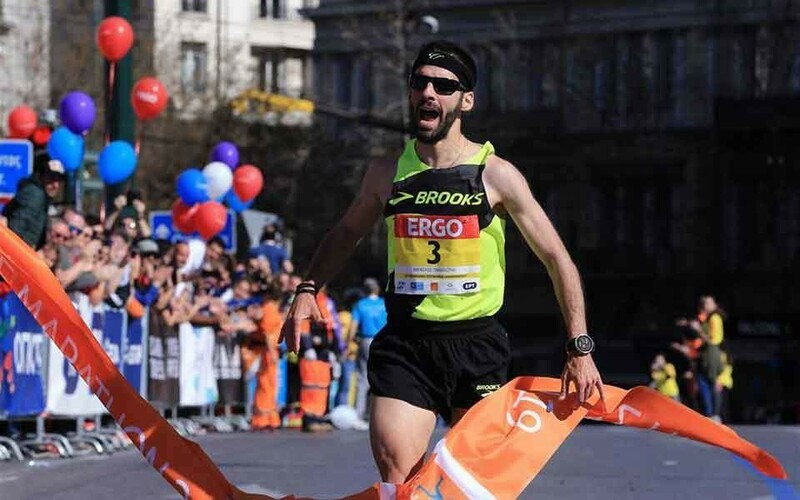 Karaiskos crossed the finish line in front of the Greek parliament in one hour eight minutes and four seconds, improving the event's best time which Constantinos Gkelaouzos had achieved last year. "I really wanted the first place. I faced some problems with my stomach during the race, but I perform well in warm weather under high temperatures," the athlete who had finished ninth in the Athens Marathon last November said, according to a SEGAS press release. The thermometer in Athens showed 22 degrees Celsius on Sunday. Greek runner Stefania Leontiadou was the first in the women's category, finishing in 1:20:43. "It was a good experience. It was a test for me, because I plan to run at the Rotterdam Marathon race in three weeks. It was hot, but I did well," she said. The center of the Athens was flooded on Sunday with thousands of runners of all ages participating in the Half Marathon as well as shorter courses in the largest sports event of the spring here. Some 22,000 professional and amateur runners participated this year, according to organizers of SEGAS and the City of Athens. The annual sports event aims to promote a healthier lifestyle and an image of Athens which will attract more foreign visitors throughout the year. There were stories about coconut oil and butter making a comeback. Now it’s soup. Long touted as a tool to help fight illness and inflammation, bone broth—a basic soup made with animal bones, among other ingredients—is trending among the smoothie-drinking, health-conscious crowd as a restorative miracle potion. But endurance athletes have been sipping stock for centuries. 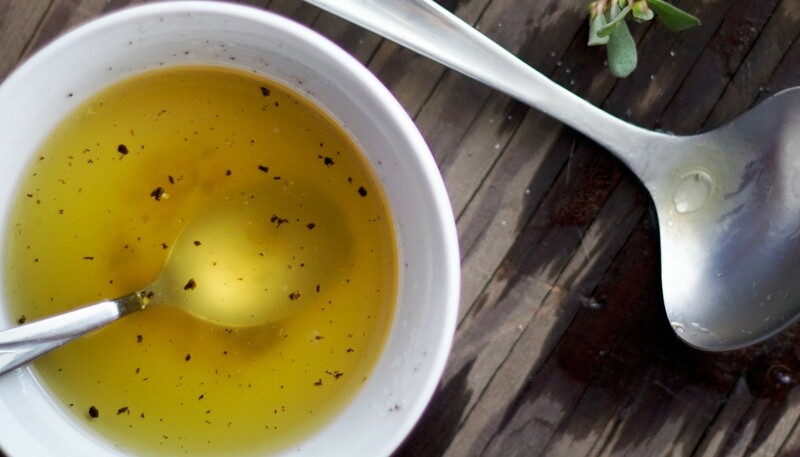 “Homemade bone broth is an excellent source of minerals, like calcium, phosphorus, magnesium and potassium, in forms that your body can easily absorb. It’s also rich in amino acids, collagen and anti-inflammatory compounds, like chondroitin sulfate and glucosamine,” says sports nutritionist Melissa Hartwig. Granted, some nutritionists argue that many of the health claims surrounding bone broth aren’t backed by research, such as stock having anti-inflammatory properties or helping with GI issues; however, one undeniable benefit is the presence of extra minerals, such as calcium and magnesium, which are important for bone health and muscle function, and are not naturally bountiful in the dairy-free Paleo diet, says Leslie Bonci, director of sports nutrition at the University of Pittsburgh Medical Center’s Center for Sports Medicine. Another nutritional bonus is its high sodium content—good for athletes training for or participating in a long-distance race. “There’s a reason broth is served at aid stations during the run portion of an Ironman triathlon,” says sports dietitian Lauren Antonucci. “Toward the end of a race, you’ve lost a lot of salt from sweat and need to replace it in order to prevent muscle cramping and dizziness, but keeping up with your sodium intake is hard, especially because you’re sick of consuming so many sweet, sugary things, like gels and sports drinks. Sipping some broth at that point could play a role in maintaining your fluid balance,” Antonucci says, because sodium helps the body retain fluid. One study found that athletes prefer savory over sweet tasting foods later on in an ultra-endurance running event, making broth a no-brainer choice for tired competitors. It doesn’t matter if it’s warm or cold, organic, veggie, chicken or beef—so long as it contains plenty of sodium, it will help you, Antonucci says. Zab Mosenifar has owned three cars in his lifetime—and he figures he only drove one for as many miles as his own two feet have run. 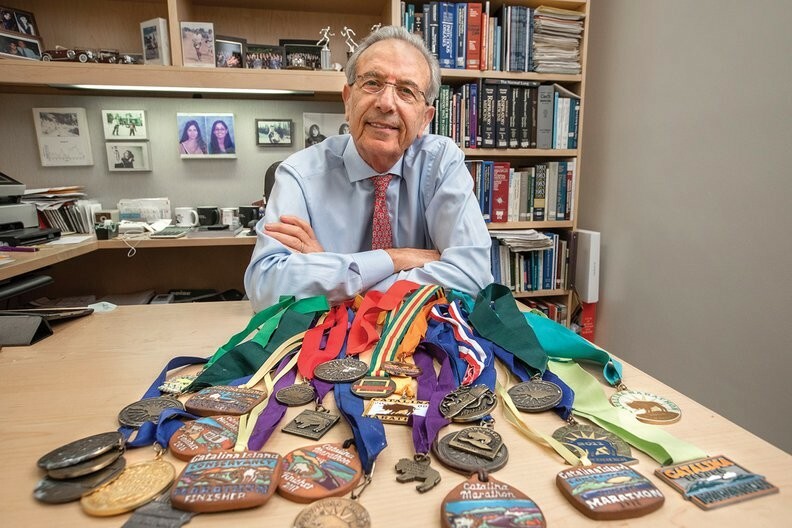 The 70-year-old Cedars-Sinai Medical Center physician competed in his 100th 26.2-mile race this month on Catalina Island, just off the coast of Southern California; the Weather Channel ranks it as the sixth-toughest marathon in the world. 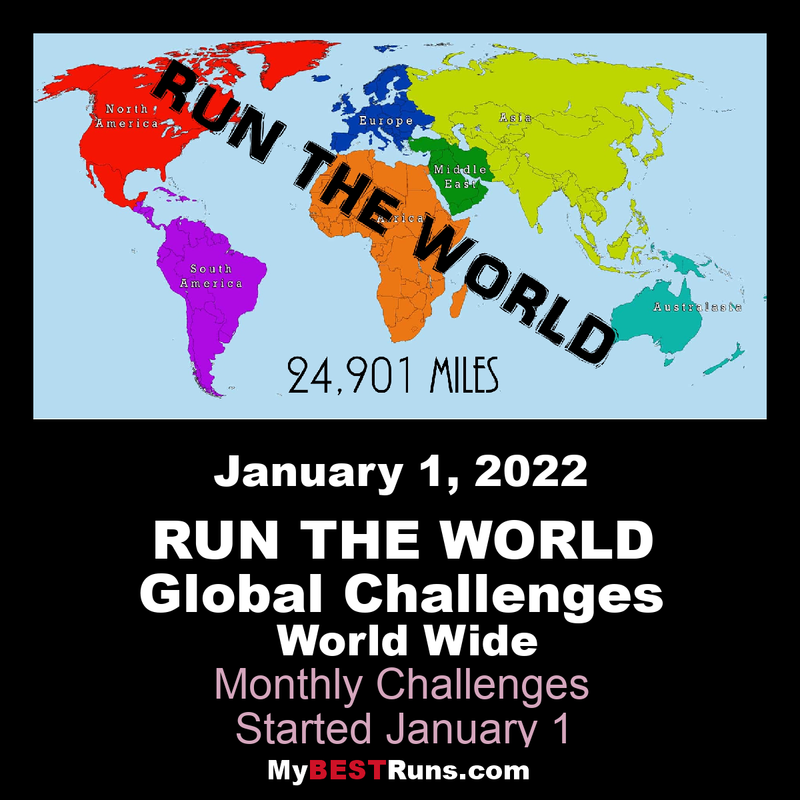 Mosenifar estimates his running total now equals traveling 5.6 times around the world, at about 135,200 miles. “I don’t remember a day I haven’t run in the last 50 years. I also don’t remember ever being sick in my adult life,” he said. Mosenifar runs 50 miles a week, usually on his own in the mornings and with a group of men who train on Fridays. He’s run all big-city marathons in the U.S., plus some European races. He usually finishes in about 4 hours and 30 minutes. His unofficial time at Catalina was 5 hours and 32 minutes; he finished third in his age group. But he’s not focusing on the number of races he’s run. “I’m more impressed that I’ve been able to run all of these years. It’s less about 100 marathons and more about the fact that I’m still healthy enough to run 50 miles per week and put so many miles on my body. That’s human nature—and to me, that’s much more impressive than running 5.6 times around the globe,” he said. 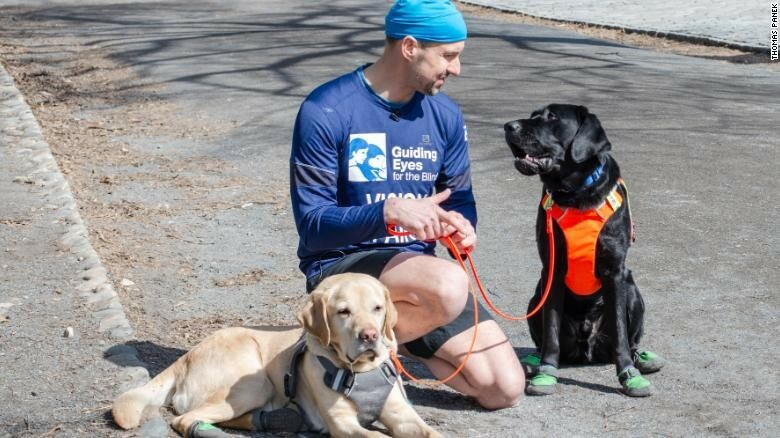 Thomas Panek and his running guide dogs Westley, Waffle and Gus will make history on Sunday in the 2019 New York City Half Marathon. Panek, the president and CEO of Guiding Eyes for the Blind, will be the first blind runner to complete the half marathon with guide dogs. His trio of Labrador Retrievers -- who will take turns pacing him along the 13.1 mile course -- will be the first four-legged athletes in the race. "It's really a team," Panek said. Panek had no intention to give up the sport, even after losing his eyesight in his early 20s. In 2015, Panek established the first-of-its-kind "Running Guides" program at Guiding Eyes for the Blind, a certified nonprofit school in Westchester County, New York that has trained guide dogs for the visually impaired for decades. Thomas Panek finished the half on Sunday clocking 2:20:52. Former two-time world marathon champion Edna Kiplagat and world half marathon record-holder Joyciline Jepkosgei will be among a horde of Kenyan stars who will take part in the New York Half Marathon on Sunday. Majority of the athletes are using the race as part of their preparations for upcoming major races. Jepkosgei will be debuting in the full marathon in Hamburg in April and she is using the race to gauge her preparedness as she seeks to swim in the deep end of the 42km race. “I’m really prepared for the race in April but I’m using the half marathon to test my capability so far. 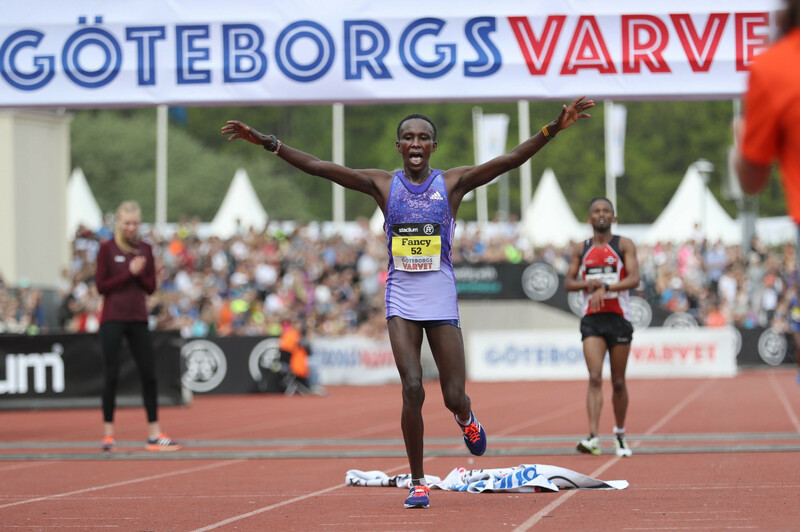 Training in Iten has always given me good results,” said Jepkosgei. “Competition will always be tight but I have the experience in the 21km. 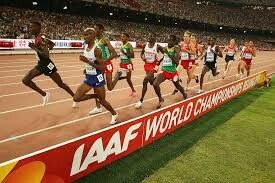 I will be doing my best to win the race as I finalise my training ahead of my debut,” Jepkosgei told Nation Sport. Jepkosgei was the first woman to run under 30 minutes in 10km when she clocked 29:43 in the Prague Grand Prix in 2017. She holds the half marathon record of 64:51 from 2017 Valencia Half Marathon. Kiplagat, who is eyeing victory in Boston Marathon, said that she has finalised her training. 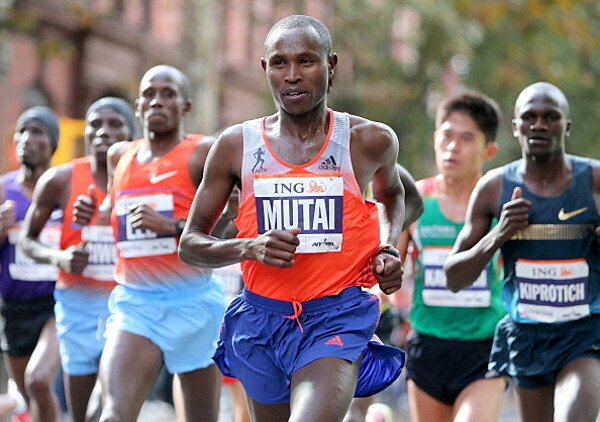 "The New York race is just part of training for me and I will be participating as part of my recovery program. 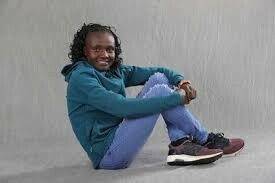 I will be happy with any outcome in the race as I set my sights on the big race in April,” said Kiplagat. Kiplagat told Nation Sport that her ultimate goal is to represent Kenya once again in the World Championships where she will be chasing a third title. The Malta Marathon was called off last weekend by race organisers after the country was hit by one of the worst storms in recent years, with gale-force winds causing severe damage in various localities. 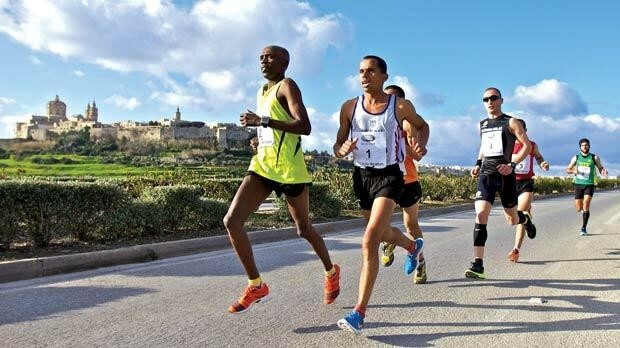 A total of 4,500 runners were expected to be at the starting line at the Mdina Gate on Sunday morning but the organizing committee decided to cancel the event on Saturday night after a meeting with the safety officers. 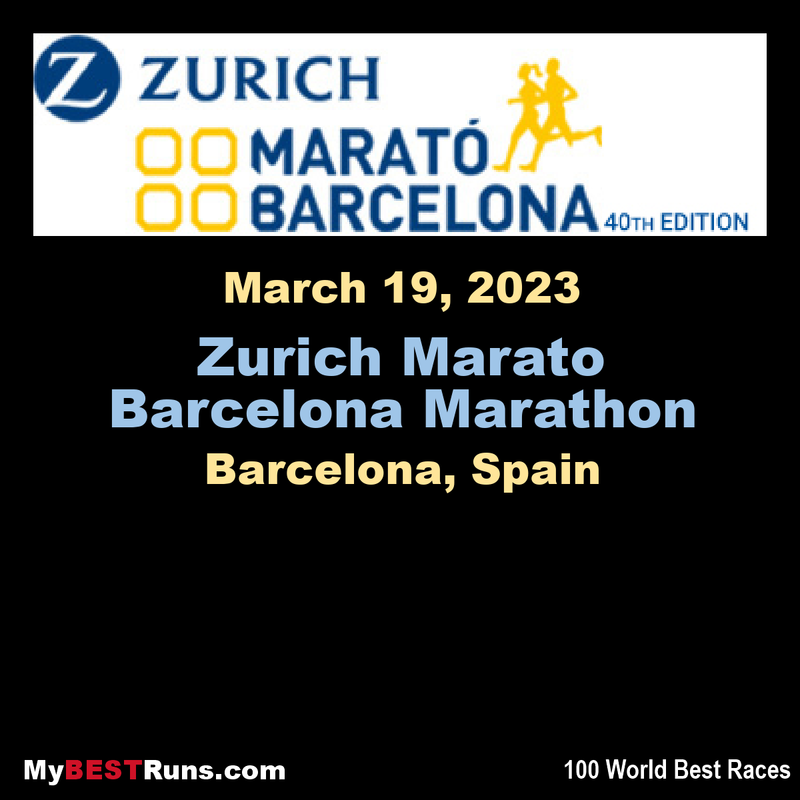 Joe Micallef, the chairman of the race committee, said nobody could question the decision to call off the race as the safety of the participants and the persons involved in the organization of the marathon were paramount. “I think everyone will agree with our decision to call off the marathon,” Micallef told the Times of Malta. 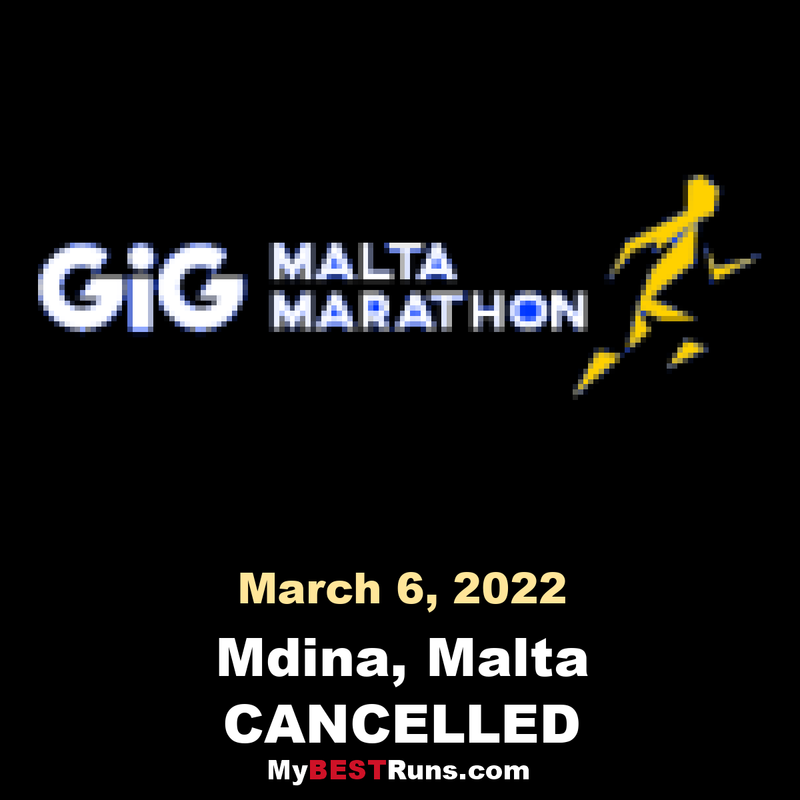 The decision to cancel rather than postpone the 2019 Malta Marathon took many by surprise but Micallef said that it’s almost impossible to hold the race on another date due to a packed racing schedule. “It’s an impossible task to move the Malta Marathon to another date,” Micallef said. 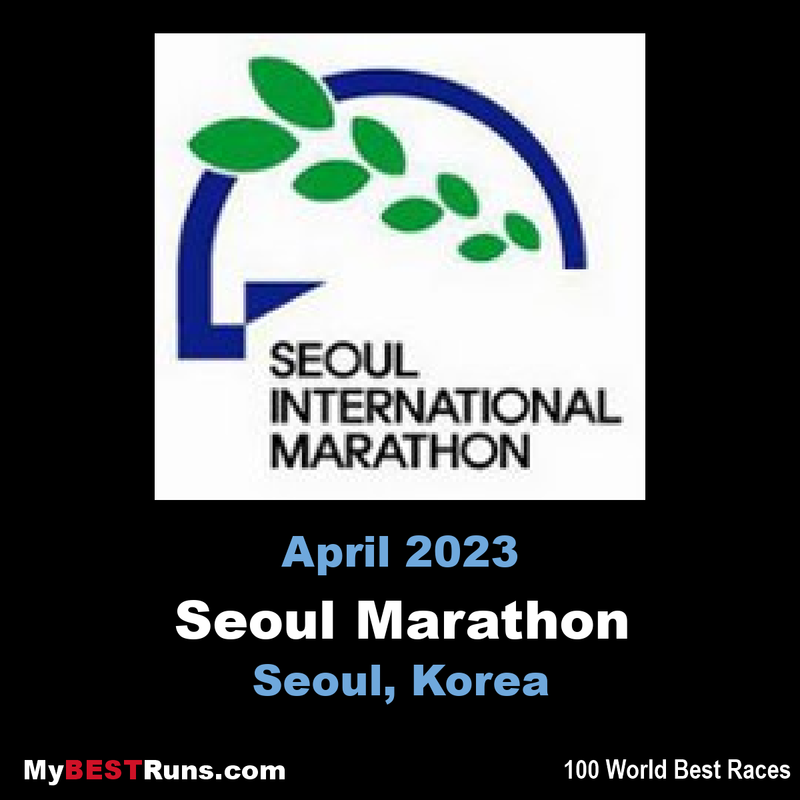 “First of all, when we set the date of the race we have the police, wardens, security personnel, volunteers and scouts all booked and it’s very difficult to have all this entities available together on another date. “Besides, to organise a marathon we need the permit from the Malta Amateur Athletics Association (MAAA). 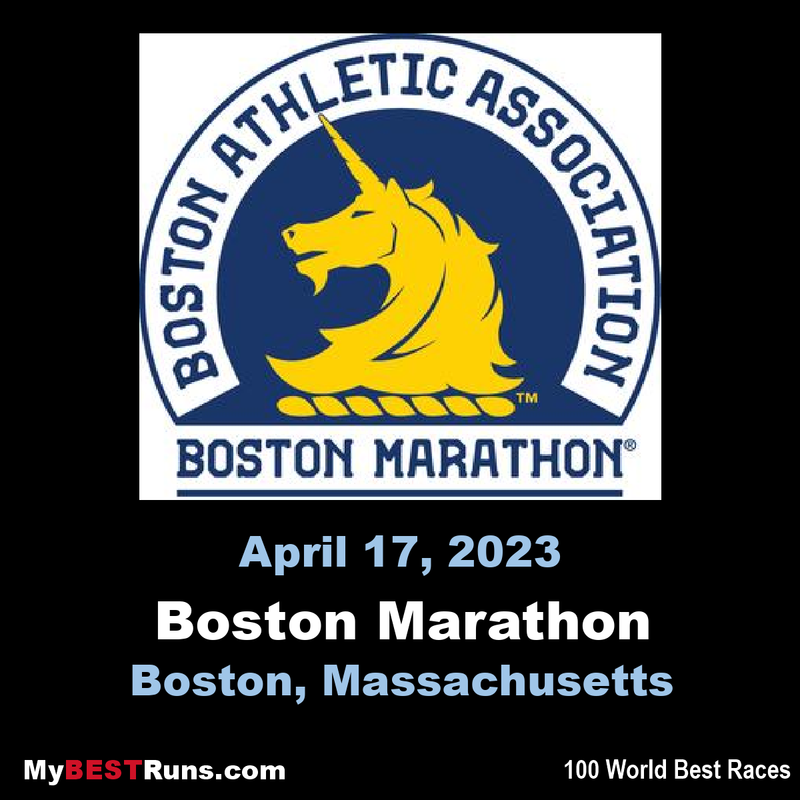 There is an agreement in place that says that the MAAA cannot issue a permit to stage a race on a weekend when there is already another running event scheduled. Micallef said that the Malta Marathon Organising Committee (MMOC) will not be refunding the athletes who were planning to take part in Sunday’s race but are considering to offer a discount for the 2020 edition. “The Malta Marathon Organising Committee has no plans to refund the 2019 entrants,” Micallef said. “It’s clearly written in our regulations that participants will not get their €35 ($50US) registration fee back if they don’t turn up on race day or the marathon is not held. Every participant agrees to these conditions when they register for the race. “Unfortunately not many people really know how much it costs the organising committee financially to hold the race. We spent a lot of money to circulate fliers and banner around Malta to promote the race. We paid adverts in local newspaper to give the necessary information on our race. “Added to that we have other expenses such as the bags that we give each participant to put their clothes for the race, the Facebook photo system, which cost us 10,000 euro so we have many expenses to cover. 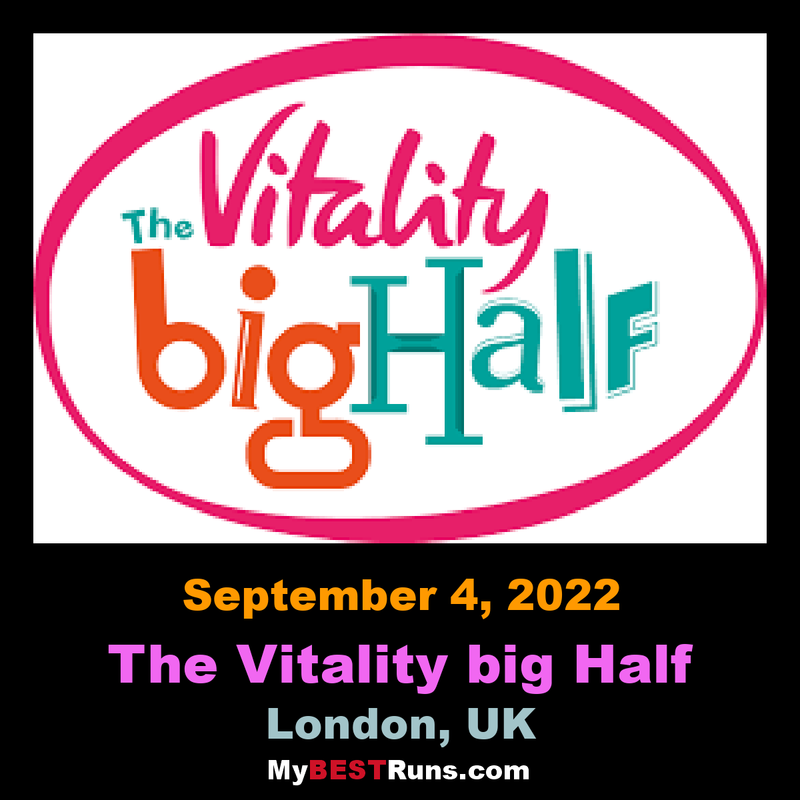 “But having said that we are still considering to offer a discount to this year’s athletes who will be applying for next year’s race. Micallef said that despite the cancellation of the event they will still be making the donation to the official charity of the race – Inspire. 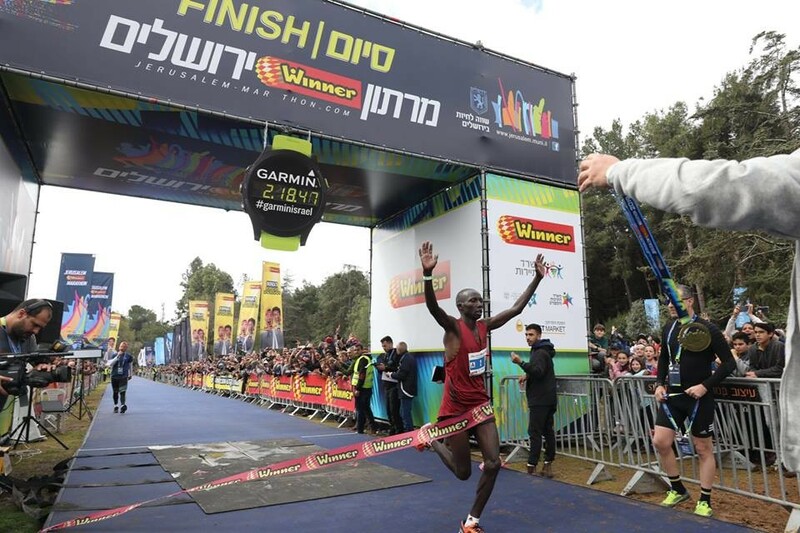 Kenya's Ronald Kurgat won Israel's 9th Jerusalem Marathon on Friday at two hours, eighteen minutes and forty seven seconds (2:18:47), ahead of his compatriots Kipkogey Shadrack, who clocked 2:19:07, and Jonathan Chesoo (2:22:07). Kenya also won the top three places in the women's race, as the winner was Nancy Chepngetich Kimayo at 2:44:50, ahead of Mercy Jelimo Too at 2:54:00 and Naomi Jepngetich in 2:58:00. 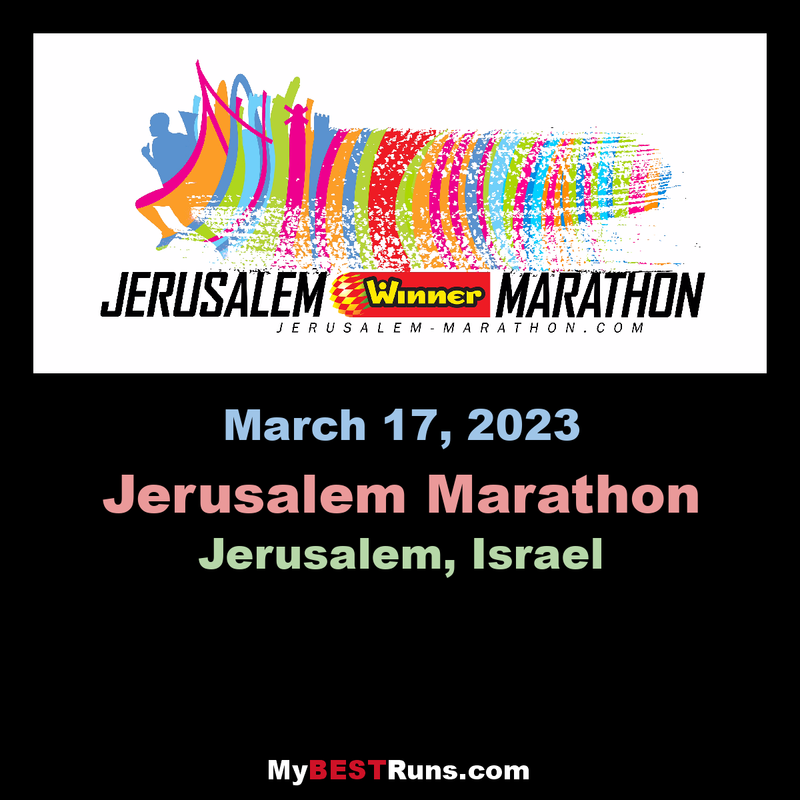 The Jerusalem Marathon has been held annually since 2011, the race also includes half marathon, 10km and 5km runs, as well as 1.7km family run. 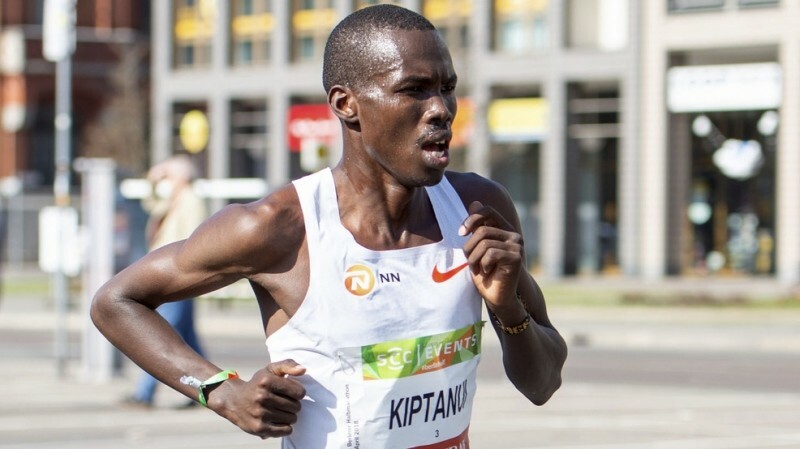 On the men's side, four entrants with sub-2:10 credentials will be on the start line targeting the 2:13:05 standard set by Kenyan Josphat Too in 2013. Similarly in the women's race, five women with sub-2:30 credentials have been recruited to set their sites on Kim Jong-hyang's 2:34:53 race record set in 2014. 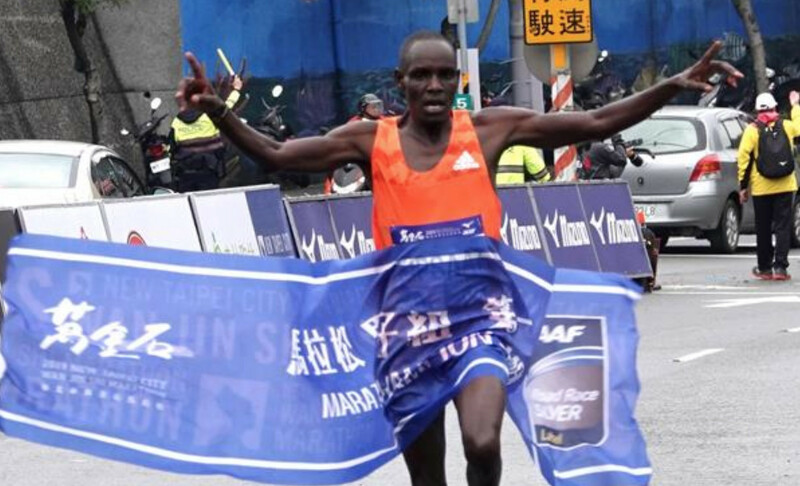 He Yinli (marathon world ranking: 164) of China is the fastest in the field with a personal best of 2:27:35 set at the 2015 Chongqing Marathon where she's finished on the podium twice. 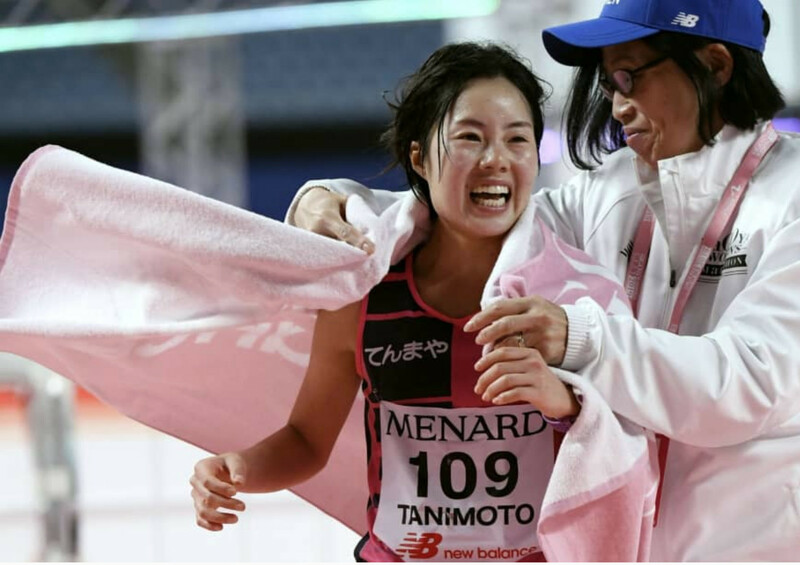 She clocked 2:31:14 at the Osaka Women's Marathon in January, her most recent race. 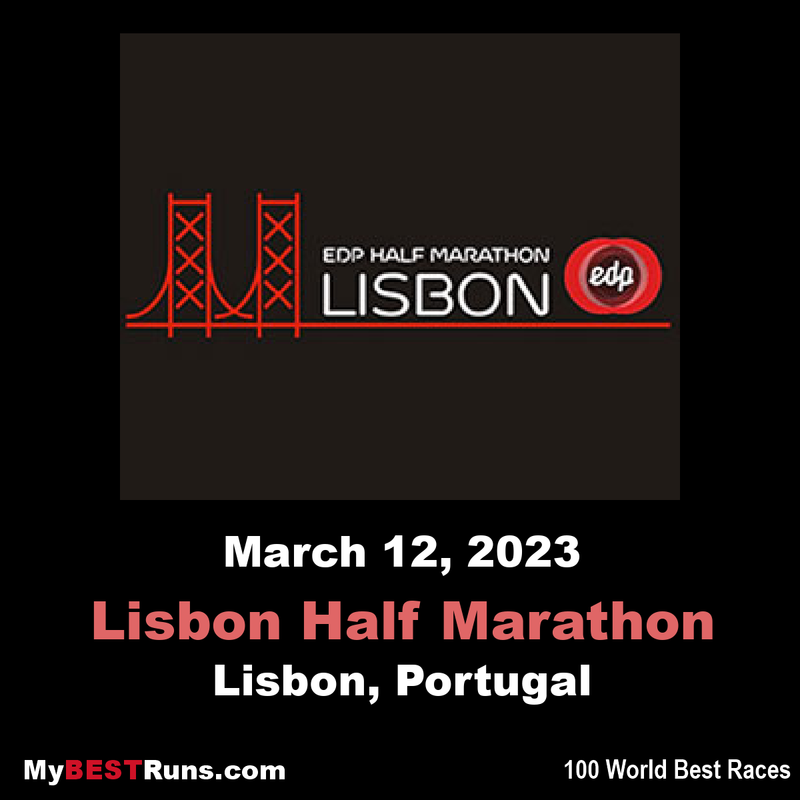 The EDP Lisbon Half Marathon field includes 21 male runners with personal bests of under 1:01 and ten in the women's field who have dipped under 1:10. Erick Kiptanui made his debut over the distance in this race last year, winning in 1:00:05, and went on to improve to 58:42 in Berlin one month later. Two other sub-59:00 runners are in the field: 2013 winner Bernard Kiprop Koech, who has clocked 58:41, and Solomon Kirwa Yego, who set his 58:44 best in the 2016 Rome-Ostia Half Marathon. But there are more athletes in this race who can produce some surprises. Ethiopia comes armed with Mosinet Geremew, winner of the 2018 Dubai Half Marathon with a 59:11 lifetime best from 2014, and Betesfa Getahun, who has a 1:00:26 personal best. He was third in the Barcelona Half Marathon last month. 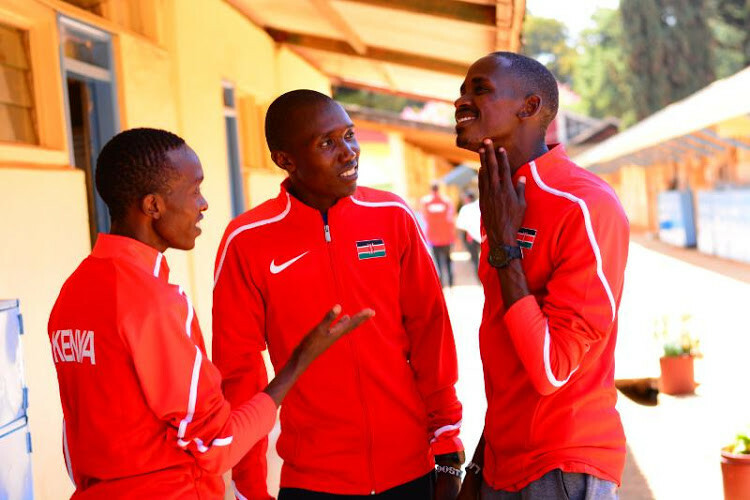 Behind Kiptanui, the solid Kenyan contingent includes Micah Kogo, the 2008 Olympic bronze medallist over 10,000m who's clocked 59:07; Simon Cheprot who has a 59:20 lifetime best; Edwin Kiprop Kiptoo, who has a 59:26 best; Nicholas Kosimbei, who clocked 1:00:21 at this race last year; late addition Edwin Soi, the 2008 Olympic 5000m bronze medallist, who improved to 1:00:24 in Granollers, Spain, this year; and Japhet Korir, who has run 1:00:08. Others to watch include Callum Hawkins of Great Britain, who'll be looking to improve on his 1:00:00 personal best and Abrar Osman of Eritrea, who's clocked 1:00:19. In the women's field, Vivian Cheruyiot, the 2016 Olympic 5000m champion, is the undisputed star of the field. The 35-year-old, who also won three world titles on the track and the 2017 London Marathon, was second in this race last year clocking 1:09:44. She clocked 1:07:43 at last year's Great North Run, also finishing second. She'll face a formidable field however, led by Ethiopia's Gelete Burka, who has a solid 1:06:11 lifetime best set last year. In partnership with dairy-free ice cream brand NadaMoo, Balenger is hoping his challenge will show the world that even ultramarathon runners do not need to eat animals to excel in their field. He believes the run will last for 75 days, covering the 3,200 miles from Los Angeles to New York City. “Not only do I plan to survive running an average of 43 miles a day on a 100% plant-based diet, but I hope to show you how I will thrive,” he continued. Balenger hasn’t always been an athlete; he used to operate restaurants across Austin, Texas. He needed a way of managing the stressful nature of his career path so six years ago, he began running, according to Lifelong Endurance, an endurance coaching website. He now works as an endurance athlete, coaching others in the field. Balenger isn’t the only athlete showing that a plant-based diet can boost you to achieve major physical feats. 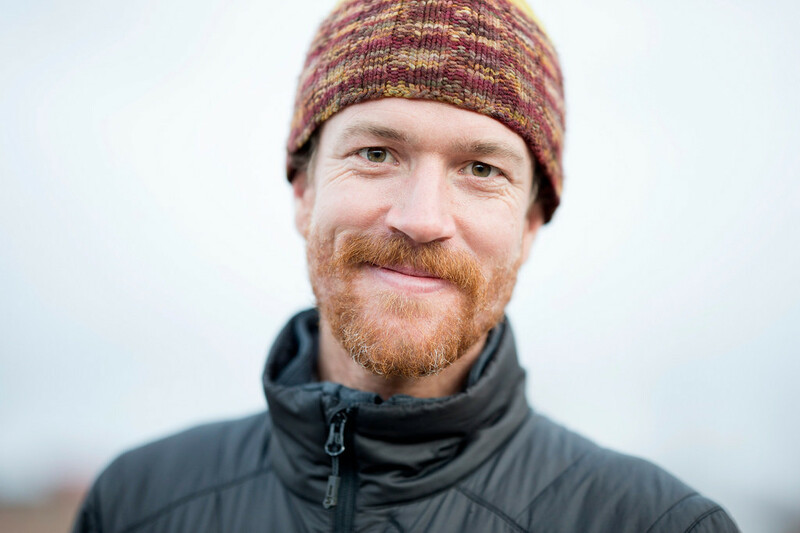 Last year, Mike Curtin, a 27-year-old vegan thru-hiker, hiked 118 miles along the Pacific Crest Trail. The journey — from Windigo Pass in Oregon to Big Lake Youth Camp in Willamette National Forest — took 38 hours and Curtin didn’t stop the whole way. 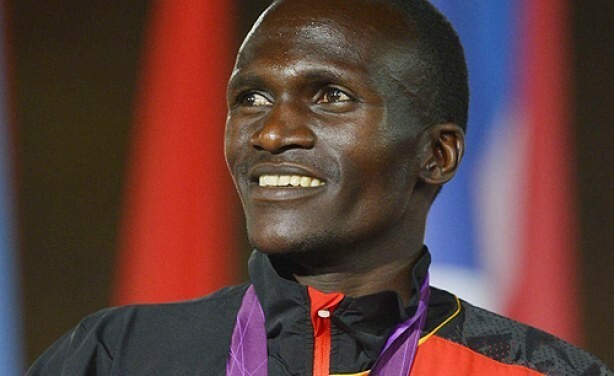 Stephen Kiprotich, the 2012 Olympic and 2013 world marathon champion, will return to the northern German port city for the third time, after finishing second in 2017 and fifth one year ago. The 29-year-old, who is the national record holder at 2:06:33, clocked sub-2:08 performances in both of his Hamburg appearances. 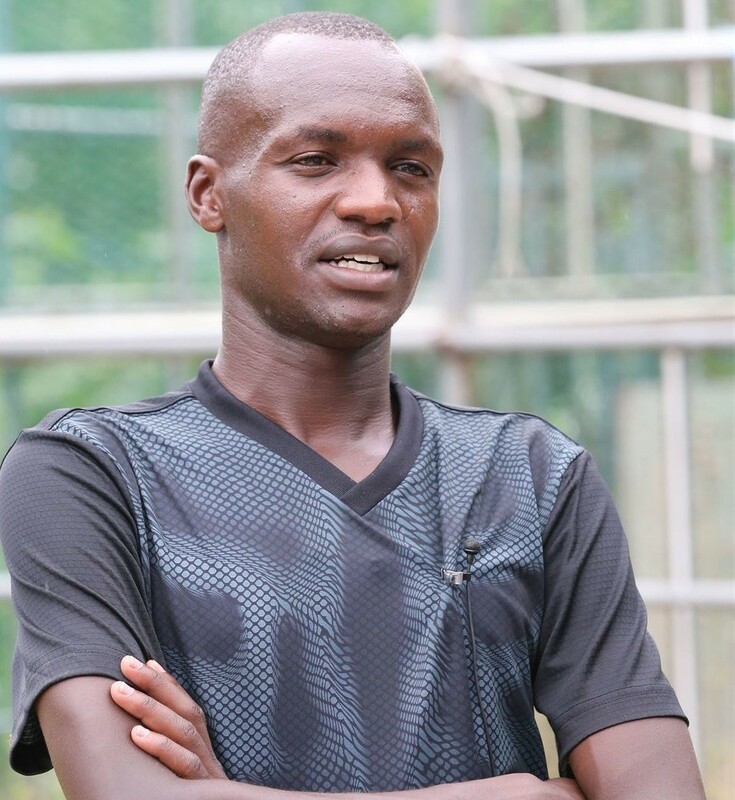 Ezekiel Kemboi meanwhile, a two-time Olympic and four-time world champion in the 3000m steeplechase, will be making his eagerly-anticipated marathon debut. The fastest runner in the field is Ayele Abshero, who clocked 2:04:23 in his marathon debut at the 2012 Dubai Marathon. The Ethiopian returns after finishing third last year. 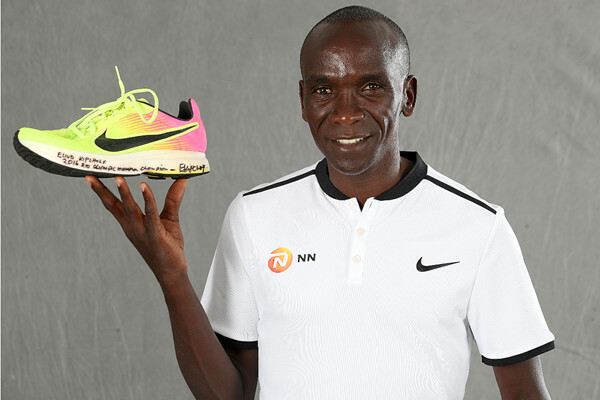 Abel Kirui, the world champion over the distance in 2009 and 2011, has already announced his intention of chasing the course record of 2:05:30, set by Eliud Kipchoge in his marathon debut in 2013. Compatriots Jonathan Korir and Amos Mitei, who have personal bests of 2:06:51 and 2:07:28 respectively, are expected to join the hunt. 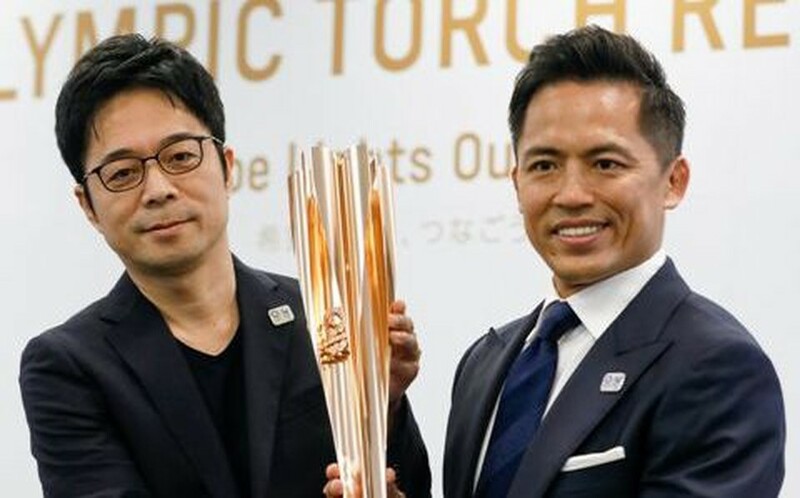 Japan's Taku Fujimoto, who clocked his personal best of 2:07:57 in last year’s Chicago Marathon, will also be in the race. The field of 11,500 will include nine men with personal bests under one hour and two of the fastest women in history. Stephen Kiprop, who won this year’s RAK Half Marathon in a world-leading 58:42, leads the men’s field. His challengers will include defending champion Bernard Kimeli, but any one of a dozen others could step up to the top of the podium. Sondre Moen will return to Prague. The Norwegian is one of the top Europeans with a PB of 59:48. 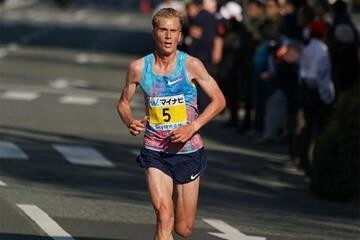 He set his 10km PB of 27:55 in Prague in 2017 and then three months later set a European marathon record of 2:05:48 in Fukuoka. 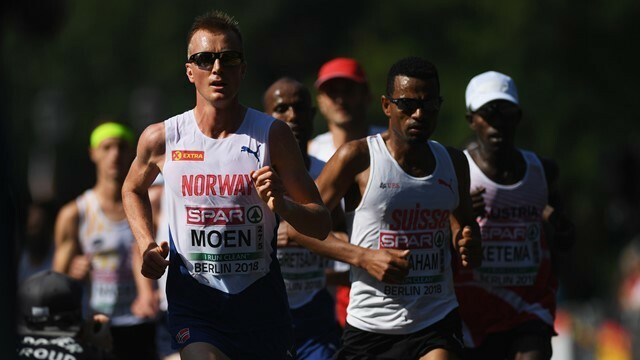 After dealing with injuries and health problems in 2018, he returned to action last month and set a national 5km record of 13:37 in Monaco. The race will feature the second and sixth-fastest women in history, Kenya’s Fancy Chemutai and Caroline Kipkirui, who have respective PBs of 1:04:52 and 1:05:07. Carol Lafayette-Boyd, 76, of Regina, Sask. set a new world age-group record of 32.26s in the W75 200m at the 10th Canadian Masters Indoor Championships at Edmonton’s Butterdome last weekend. Lafayette-Boyd also broke the championship meet record in the 60m and the triple jump. The previous world record of 33.06s was set by Kathy Bergen of the US in 2015. Lafayette-Boyd held the previous Canadian record at 33.45s, set last year and the meet record of 33.54s. More than 200 athletes took part in the meet, in which seven Canadian records and 52 meet records were broken. 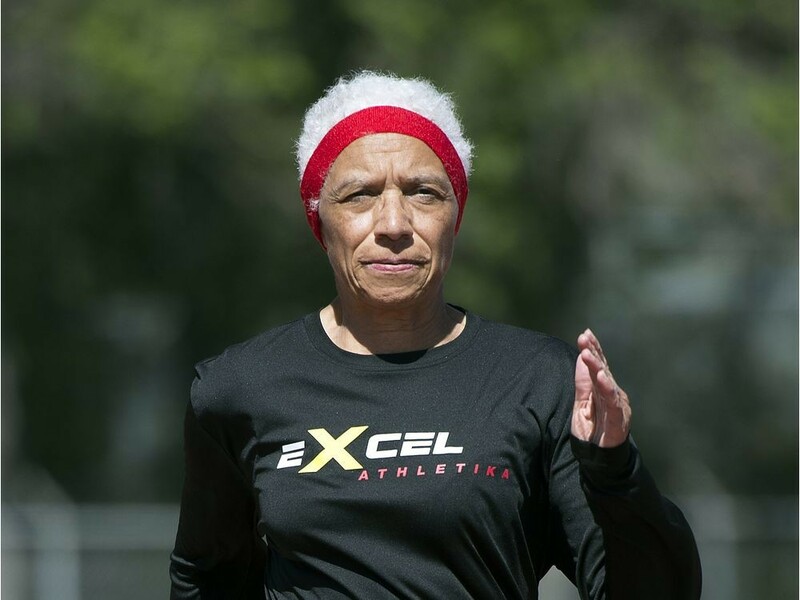 Carol won five gold medals, including the 100m and 200m, at the World Masters Championships in Malaga, Spain last summer, and set a Canadian record of 33.34s in the 200m. 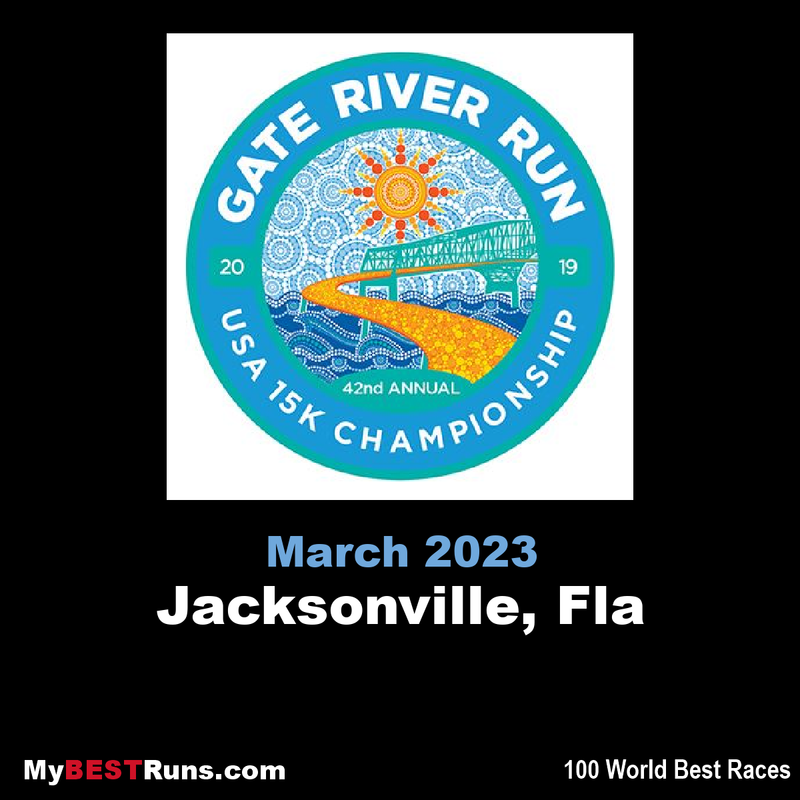 A new title sponsor isn’t the only change coming to the Amway River Bank Run in 2019. 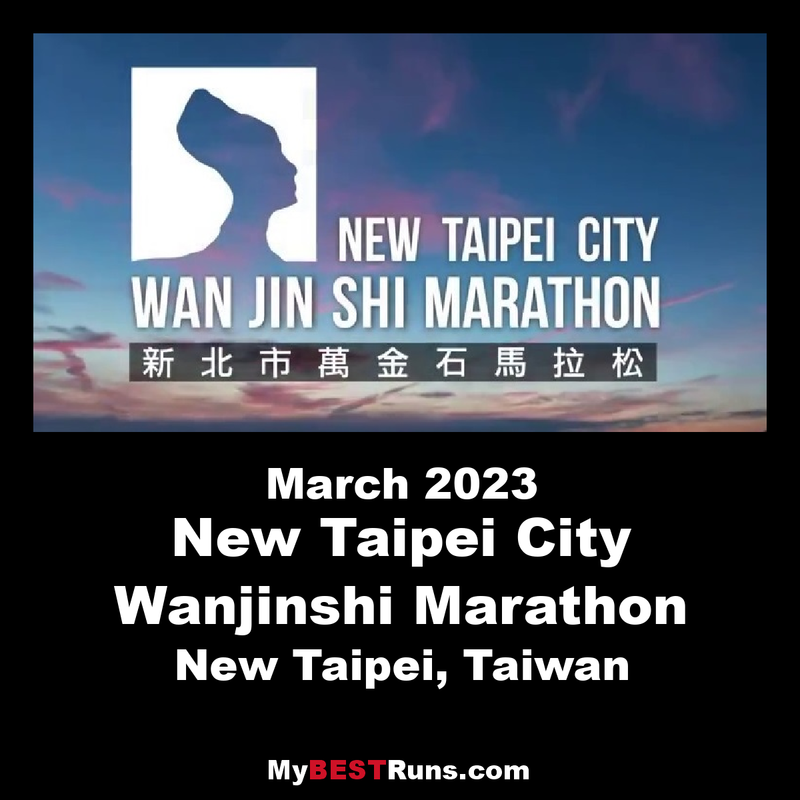 Participants who can't physically make it to this year's race will have the option to sign up for a “virtual race.” It gives anyone the option to run the race, whether they’re on a treadmill or in a different city. 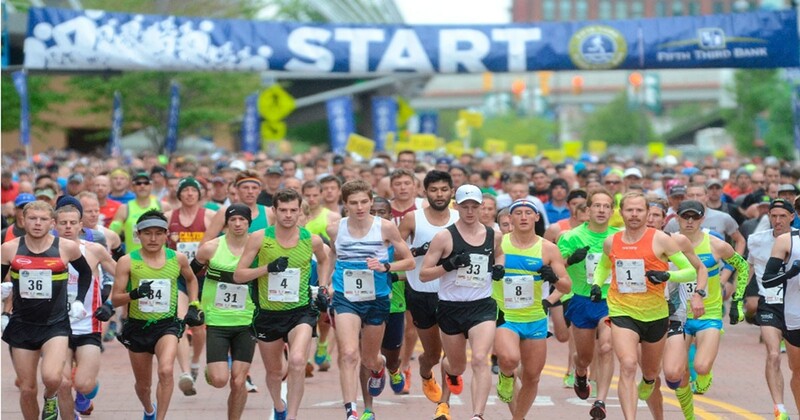 Still, Amway River Bank Run Race Director David Madiol says nothing can compare to running the race in downtown Grand Rapids. "The energy downtown for this race is so awesome... and the course itself, it's just a great course around downtown," said Madiol. 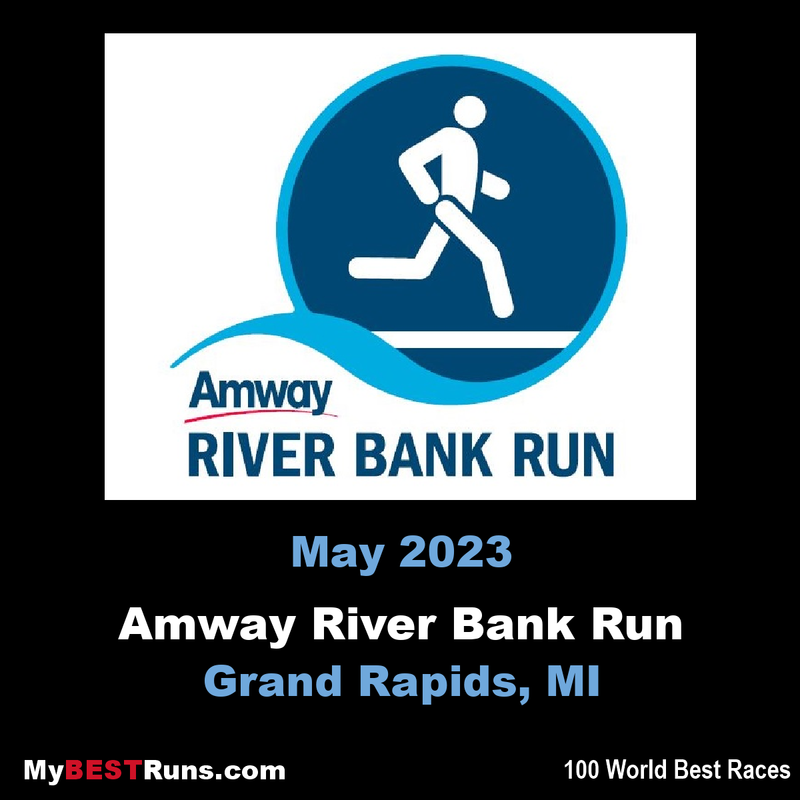 "If you're doing the 25K, you're obviously getting way out from downtown, but it's just a really well-run race and Amway is so proud to be a part of it as the title sponsor now." “I’m so used to it that I don’t even mind it anymore,” Silverman, a pediatric oncologist who was diagnosed with MS in 2015 says. 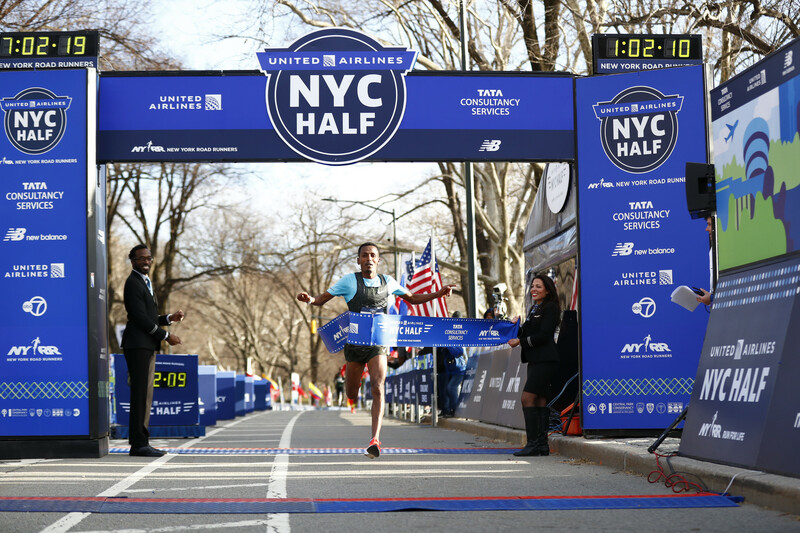 On Sunday, the Columbia University Irving Medical Center fellow will shrug it off again to run the United Airlines NYC Half marathon — the sixth 13.1-mile race he’s finished since his diagnosis. And he hopes to complete it in two hours. 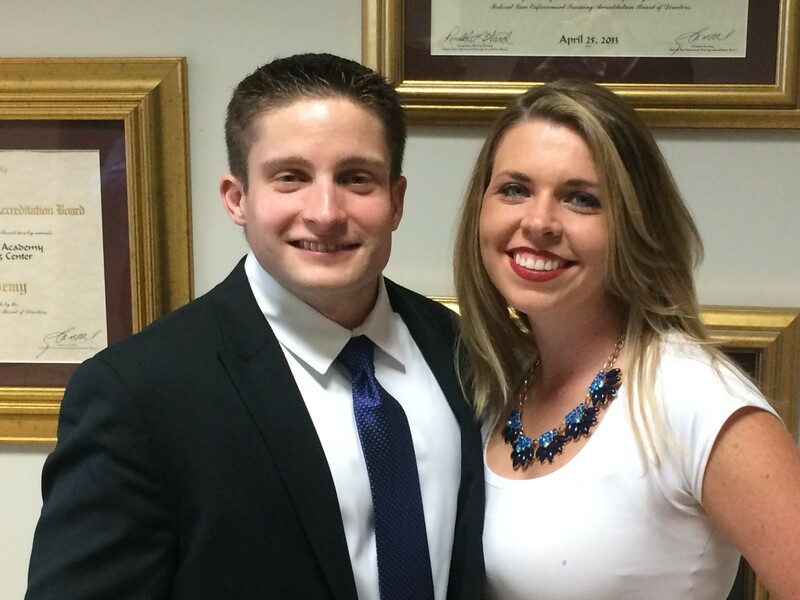 He started running in 2013, to get in shape for his wedding to his wife, Krystina Randazzo, now 30 and a teacher. He stuck with the running after the big day, and decided to run a half-marathon in Brooklyn in 2015. But that year, Silverman’s health worsened: He was fatigued and seeing double, and unintentionally lost 40 pounds in four months. He is going to keep running just as long as he can. 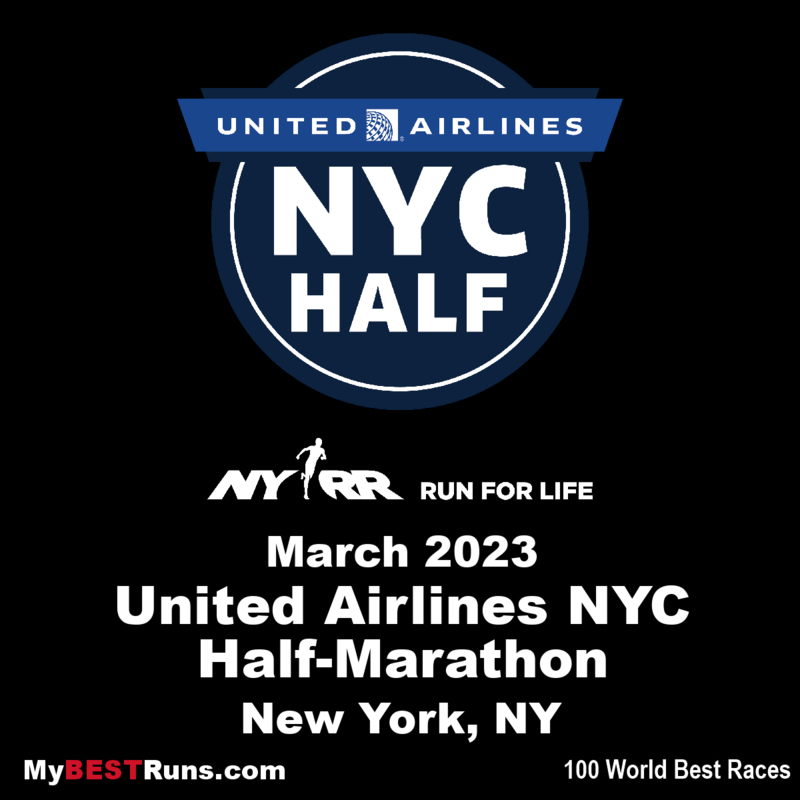 The 2019 United Airlines NYC Half-Marathon has a truly star-studded lineup. In the men’s field, Levins is joined by Americans Ben True and Paul Chelimo. Chelimo is an Olympic silver medallist over 5,000m and Sunday will be his half-marathon debut. Chelimo told Let’sRun on Monday that he’s less concerned about time, and aiming for a spot on the podium. True was sixth at the 2015 World Championships in the 5,000m and is the 2018 NYC Half defending champion. Levins’ half-marathon personal best is a 1:02:15 from the World Half-Marathon Championships last March in Spain, which is less than a minute off of the current Canadian half-marathon record of 1:01:28 set in 1999 by Jeff Schiebler. It would take a very strong run for Levins to knock down this mark, but it doesn’t seem out of the question considering the strength of Sunday’s field. On the women’s side, 2:32 marathoner Sasha Gollish is joined by 2018 Boston champion Des Linden, half-marathon world record holder Joyciline Jepkosgei and two-time marathon world champion Edna Kiplagat. 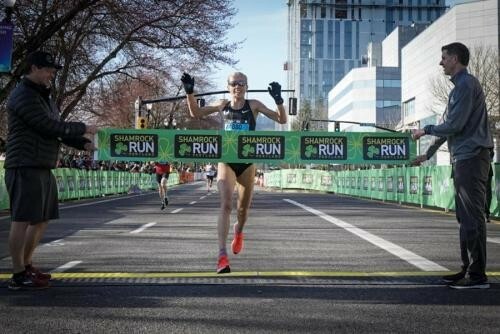 Gollish’s personal best is from 2018 World Half-Marathon Championships where she was the first Canadian across the line in 1:11:52. Running a marathon is a good metaphor for life — you may not love every day or every kilometer, and there may be times where you flat out hate yourself and question your sanity, but then you wake up the next morning eager to do it all again. At least, that’s how John Hayes sees it. 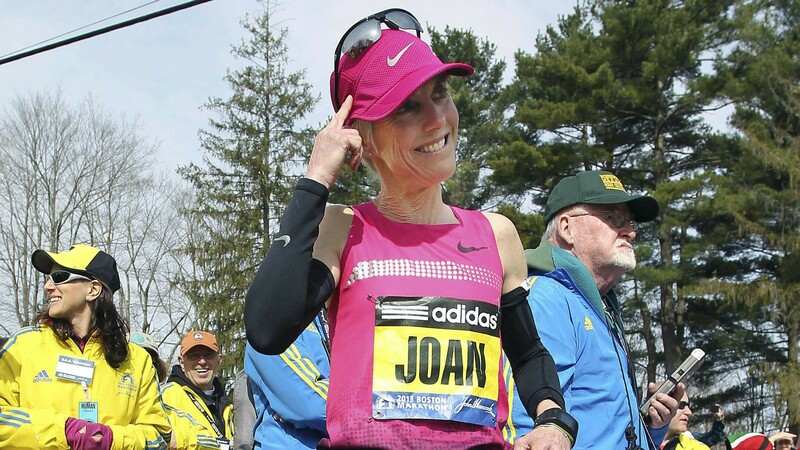 When the 70-year-old runs the Boston Marathon on April 15, it will be his seventh in Beantown and his 28th overall. Regardless of the location, they’re all 42.2 kilometers. The self-loathing begins around kilometer 30, the resolve to never do this again hits at kilometer 40, and by the end you just hope you don’t have explain your reasoning to anybody, he said. His late wife Heather called it an addiction, he said, but he prefers the word passion; it’s much less clinical-sounding. Hayes began running in 2001, at 52-years-old, when his younger son was a middle-distance runner in high school. 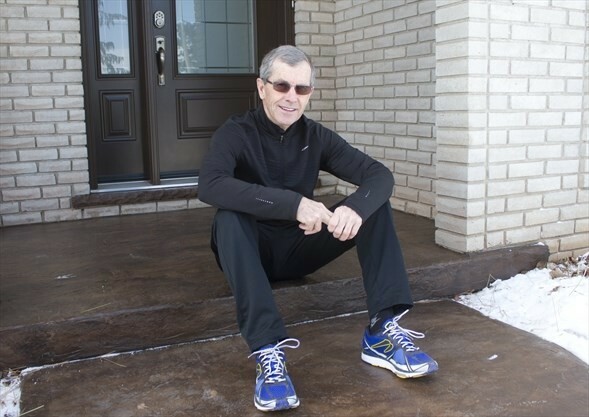 He and Heather were doing the live-to-see-the-grandkids-graduate-university math and realized they needed to start taking care of things, so they began taking regular walks — Hayes lasted about 10 days before he declared walking boring, and began to jog. 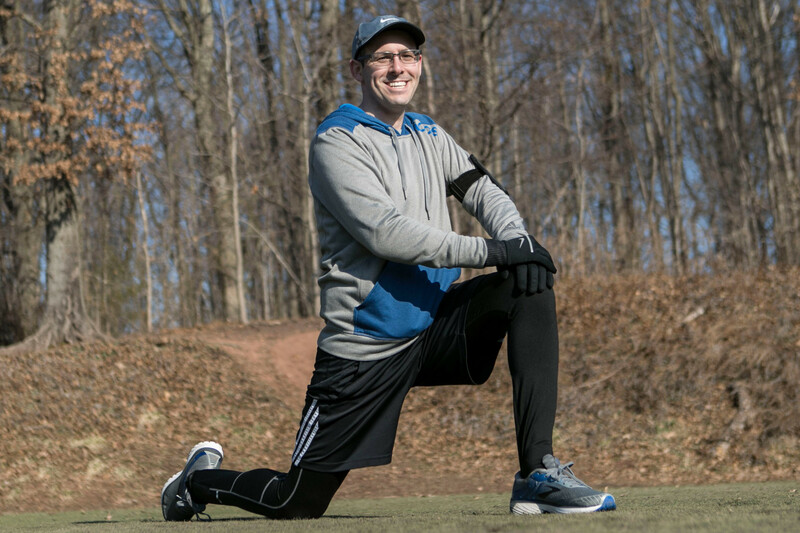 He joined a running group that was heavily invested in marathon training in 2006, and just went along for the ride. From there, he just kept going, running his first Boston Marathon around 2007. 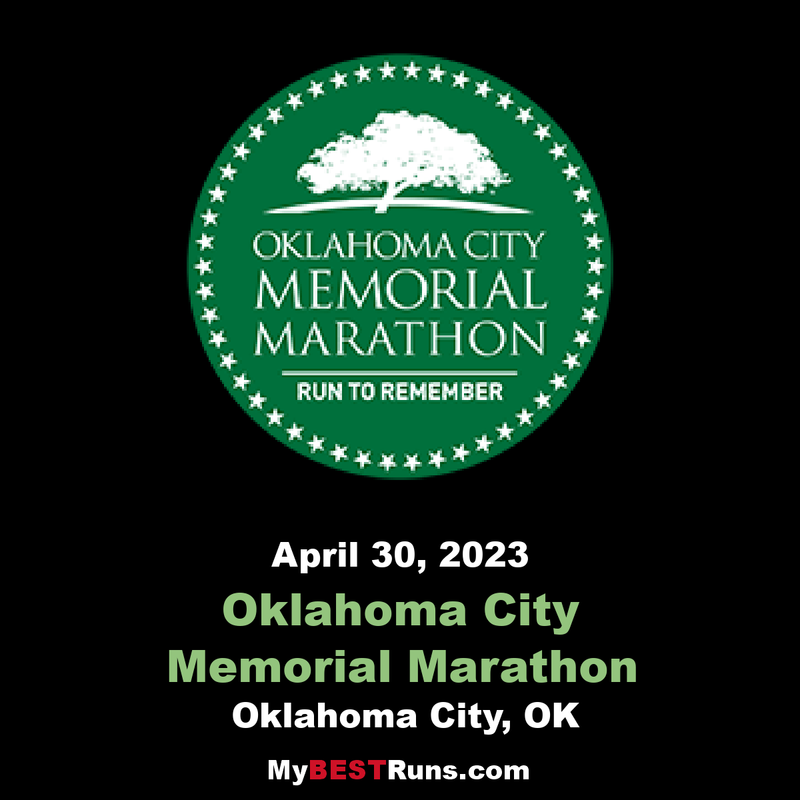 Governor Kevin Stitt is inviting Oklahomans to compete against him and a bipartisan team in a new Oklahoma City Memorial Marathon relay challenge. "We need to become a healthier state,” Stitt said Thursday morning at a press conference at the Oklahoma City National Memorial. So, when he took office, Stitt and his staff started brainstorming. "We did this kind of stuff at my old company where we would just try to engage all of our team members, employees and our coworkers. I love hanging out with my team members, and now all of Oklahoma is a team member,” he said. That’s why Stitt’s encouraging Oklahomans to participate in the new Oklahoma City Memorial Marathon relay challenge. "The memorial marathon, being the largest in the state and for what it stands for, I think it was a natural fit to jump in and challenge Oklahomans to get off the couch and put a team together,” said Kari Watkins, executive director for the Oklahoma City National Memorial and Museum. The teams will then compete with the governor and his own bipartisan team. To celebrate the new challenge, some state employees and local runners joined Stitt for a mile run that took off from the Survivor’s Tree. "I am very tired. This is - I've got to start running and training. So, this was a great first step,” he said after the run. Come April, the race is on. "Oklahomans have - we're kind of at the bottom of some categories that we should be at the top at. 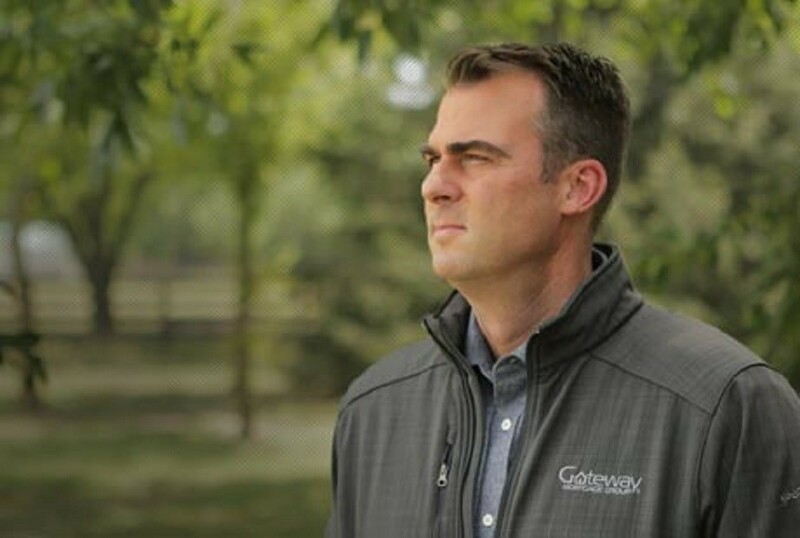 So, we need to just enjoy the outdoors and just focus on working together, and we can do amazing things in our state,” Stitt said. 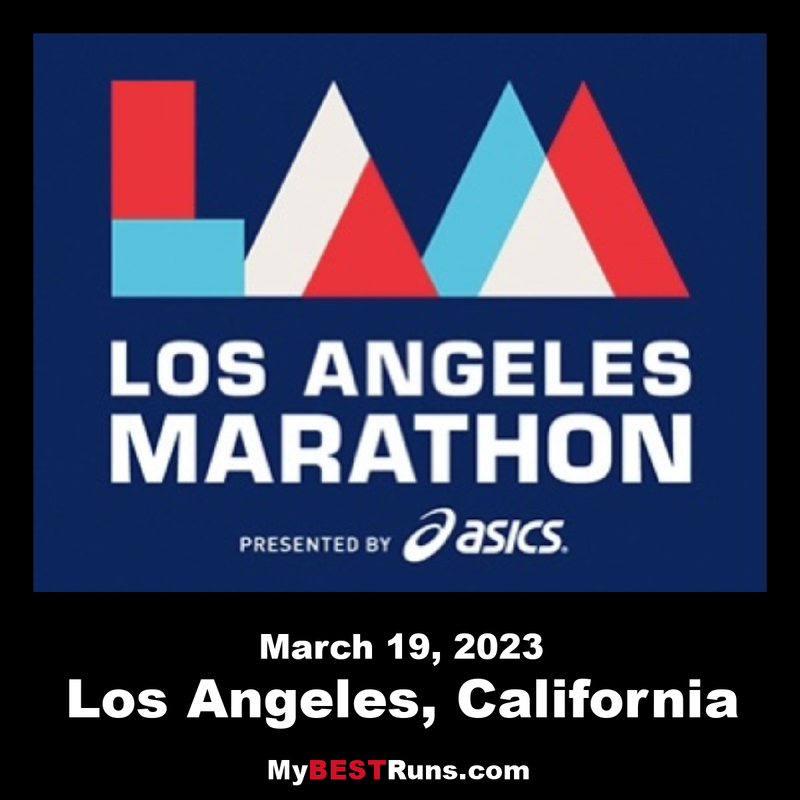 Most people would think that running a marathon every day for ten days and averaging under three hours would be enough. But not for ultra superstar Michael Wardian. For his current challenge he will be averaging 63 miles daily for 10 days. He is currently taking on the FKT Israel project. He plans on running 631 miles in 10 days on the National Israel Trail. He started today March 12. Michael messaged me yesterday and said "I am really excited to attempt a Fastest Know Time on the 1000k Israel National Trail. I can't wait." His wife, Jennifer, wrote me an hour ago saying "Tough Day I - Michael called out on the trail saying "I am lost in the dark and can't reach anyone, can you help." the call was a bit unsettling." FKT Isreal Day 1 - (From Jennifer Wardian): "When I was talking with him this afternoon he said today took longer than expected because he got lost several times and missed trail bases. He said it was very technical and exposed at times otherwise felt great. The Fastest Know Time Israel Project organizer Ian Corless wrote: "One year of planning finally came to fruition today when Michael departed Eilat, Isreal at 5:46am (March 12) to head south covering a total of 631 miles on the Israell National Trial in a target goal of 10-days,” Ian wrote this morning. Later Ian wrote, "At the final feed point, Beer Matak at 61.5km he was notably looking tired and fatigued from the day’s efforts. He was also feeling the heat from the last big climb of the day. It was time to dig deep and push on for a final 18km. It was here, as darkness came that disaster struck. Mike followed the marker of the ‘INT’ but unfortunately missed the turn to our bivouac which was off the INT route. He pushed on, following the markers and it was our support runner who notified us that he was ‘missing’ after hearing from another trekker that he passed some 30-minutes early. “Our camp no cellular connection, so, we departed following the approximate route that Mike would take, It was here that technology took over. We managed to liaise with Mike via WhatsApp, we shared ‘live locations’ and we were able to navigate to him a long way down the ‘INT’ route. The route that he should have done on day-2! “Mike was surprisingly in good spirits, but he had been out on the trail for almost 13-hours and 20-minutes, it was a tough first day! The only plus side coming that he had eaten in to tomorrow’s mileage. It’s been nearly six months since 35-year-old Wendy Martinez was attacked and stabbed to death while on a run near Logan Circle. Her death left her family heartbroken, and it left DC’s running community in disbelief. “She really took running seriously, and she was very competitive. 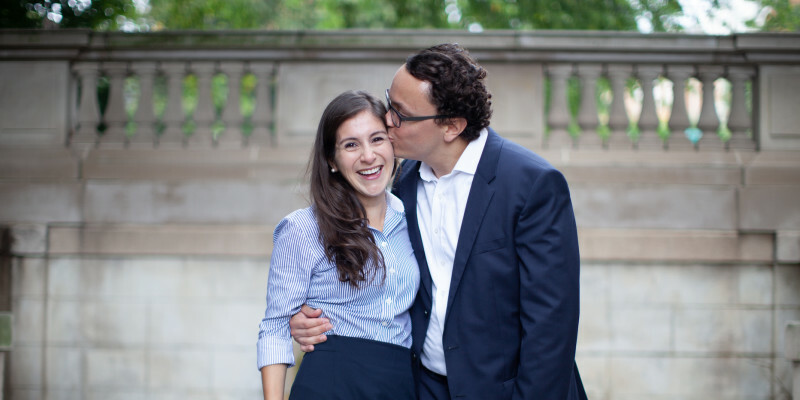 And one of her dreams was actually to run the Boston Marathon,” said Daniel Hincapie, who proposed to Martinez exactly one week before her murder in September of 2018. In a matter of days, he went from planning a wedding to planning a funeral. Martinez went for a run on the night of September 18. She was in Northwest Washington’s Logan Circle neighborhood, where she and Hincapie lived, when she was fatally stabbed in what police have called a random attack. The man charged in Martinez’ murder was found competent to stand trial just last week. Through it all, Hincapie said he finds strength in memories shared with Martinez. He says it was running that first brought them together. He was preparing to run his first half marathon, and a mutual friend asked Martinez to give Hincapie some tips. On the day of that race, he says Martinez completed the course much faster than he did. Then, she stood in the rain and waited for him at the finish line. Hincapie smiles as he thinks back to that day. On April 15, he plans to run the Boston Marathon in Martinez’ honor, fulfilling the dream she never got to finish. Hincapie’s marathon run will also raise money for the Wendy Martinez Legacy Project. Kara Goucher is a World Championship silver medallist, two-time Boston third-place finisher, and an American distance running legend. After an illustrious track career, Goucher moved to the roads. Now she’s making a second move from the roads to the trail, running her debut trail marathon at Leadville. Goucher announced on Monday that she will be trying something new this June. She said in a race preview, “I started running when I was six and I loved it right away. Goucher ran the Houston Marathon in January and had a tough time. After a much anticipated return to the roads, the Olympian didn’t finish the race as a result of an old injury flare up. After heartbreak in Houston, the runner is excited to get back to her running roots and try out the trail. 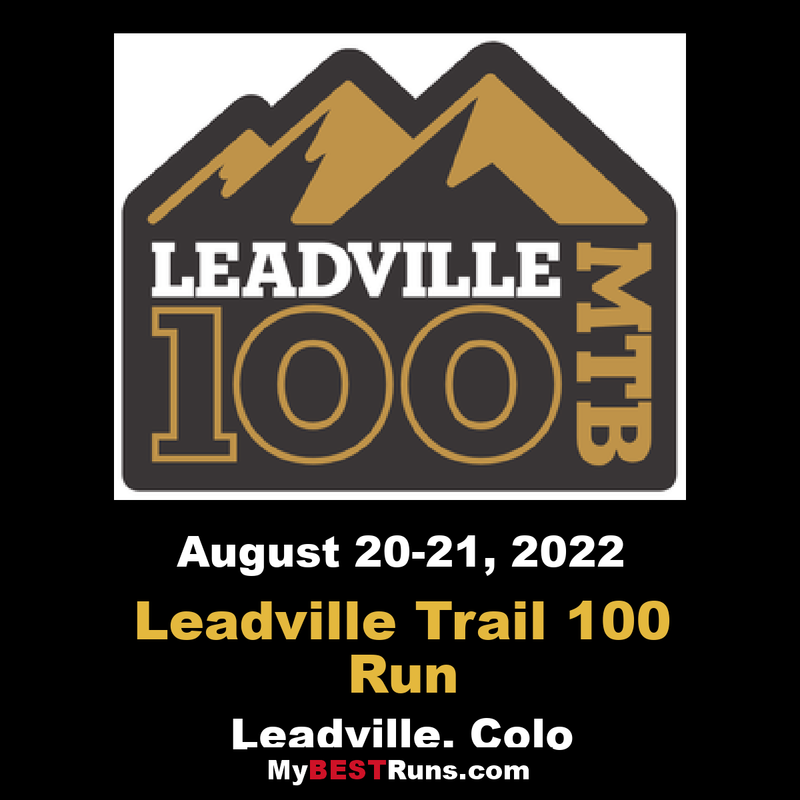 The Leadville Trail Marathon runs June 15, 2019. Gates, an accomplished mountain and trail runner, had an idea to run every street of his home city, San Francisco. In a 49 square-mile area, that amounted to 1,100 miles of pavement. He did it in 46 days, averaging just over 28 miles a day, as he had to double up on some streets due to necessity or cul de sacs. “There is really no way to prepare yourself for ‘this is going to take 36 miles and you’re going to be in this neighbourhood all day’ – and that is the point,” he said in a beautifully shot short film put together by his sponsors Salomon. He later adds that the people he met along the way and confronting the challenge of being surrounded by people – and you see that he met as wide a demographic as you would imagine in a cosmopolitan city with a mammoth wealth division – “gave me a whole new depth of what empathy is, to try and treat everybody with the same importance”. The cynic may say he was well looked after with gear, time and other resources by his sponsor – that his is a privileged view of the melting pot of city life. But we could also see that Gates was touched by the people he met and things he saw. And that, you feel, was his point. Tyler Pence never struggles to get out the door. Well, unless there’s a freakish snowstorm not unlike the one in January.That forced him to stay indoors and run on a treadmill. “But usually 99 percent of the time I’m running outside,” said Pence, who graduated from Springfield High School in 2011. Pence hasn’t slowed down one bit since winning a couple of NCAA Division II long-distance titles at University of Southern Indiana in 2015, which included the indoor 5,000 meters and outdoor 10,000. 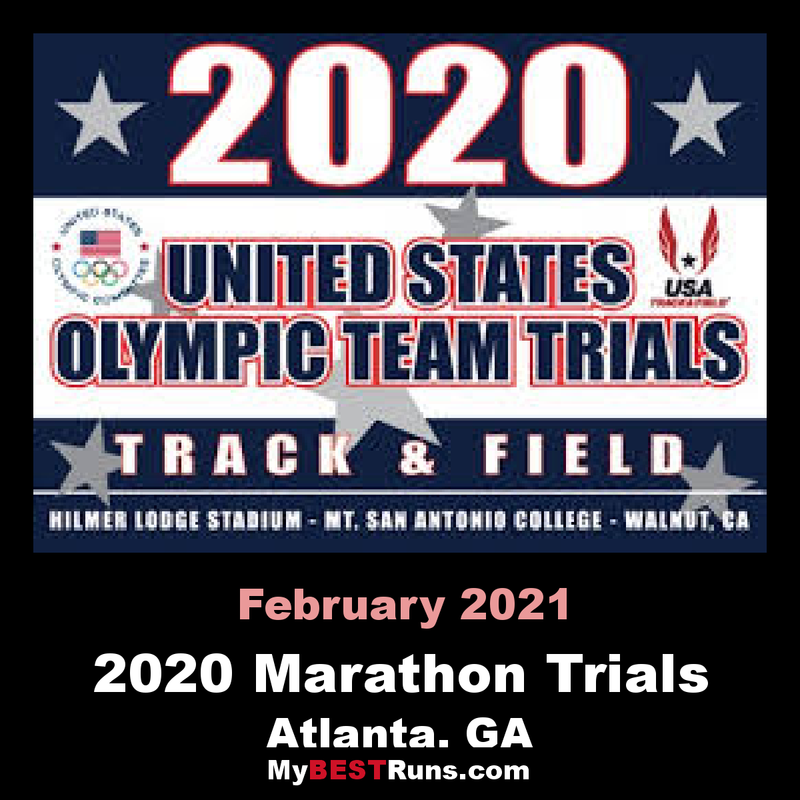 That’s because the 2016 USI grad is prepping for his first appearance in the U.S. Olympic Trials marathon scheduled Feb. 29, 2020 in Atlanta. 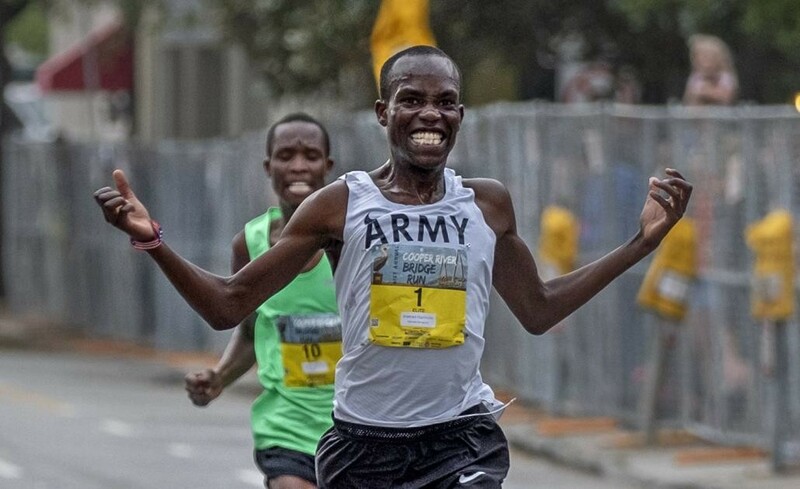 He qualified this past December, beating the required 2:19.00 standard at the USATF-sanctioned California International Marathon in Sacramento, California. Pence came in at 17th place with a time of 2:15.36. Pence had only attempted one other marathon – the Las Vegas Rock n Roll Marathon in 2016. Pence said that was just for fun. Pence started training rigorously in August, approximately the same time he won his third straight 10-kilmometer Abe’s Amble road race at the Illinois State Fairgrounds. His training spanned four months, running 110-120 miles a week. Sundays were always his big runs, reaching up to 20-24 miles. 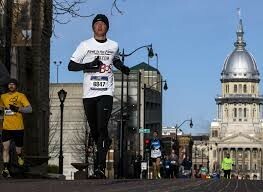 He often did morning practices with UIS runners, in addition to a second jaunt in the afternoon. It was the source of his inspiration. 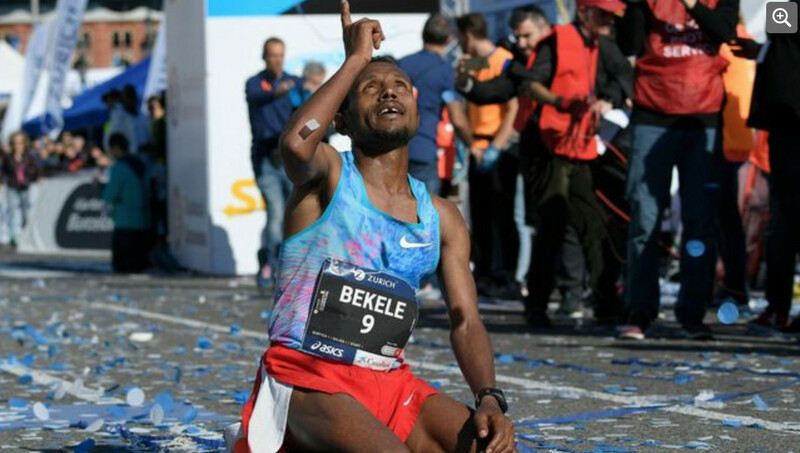 Alemu Bekele set a new course record at the 41st edition of the Zurich Marathon of Barcelona. 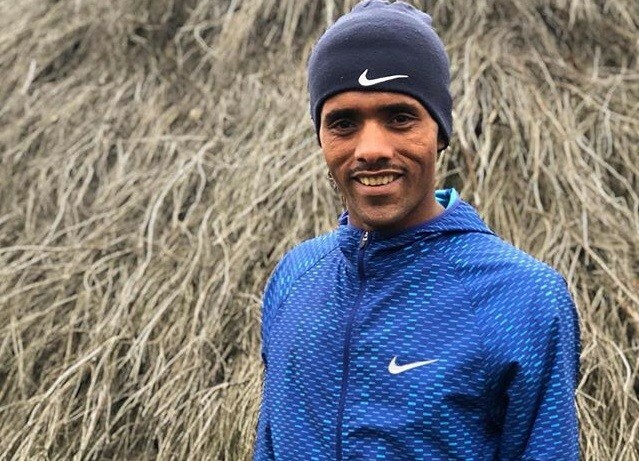 The Ethiopian and Bahrain nationality athlete, who has been distanced from his rivals in the Via Laietana section, completed the course in a personal best of 2 hours, 6 minutes and 4 seconds. The previous record set in 2010 by Kenyan Jakson Kotut (2:07:30). Abebe Negewo (2:06:49) and Anthony Maritim (2:06:54) were second and third. "I've made my best record. The race has been very nice and I enjoyed it a lot. I did not expect a record like this, but I'm doing well now," explained Bekele, who has run just four marathons. "The trip was better than I expected, but the competition was hard. I have resisted in the first group at all times and I have waited to attack where I thought I could do it. I knew it could beat the record," he said. "Despite suffering a lot in the final stretch, Ethiopian Kuftu Tahir was first female and also set a course record clocking 2:24:44. "We went out at a good pace from the start and and that was key. We were together for almost 40 kilometers." Second place placed third. "The new course was improved so that it is faster, but without removing any of the emblematic points that characterize us. We have had a balanced marathon, very linear, with few curves and great avenues. Also, we have reduced 20% the a positive difference compared to 2018," syas Cristian Llorens. There were 17,465 participants. Almost half (49%) were foreigners, from 107 different countries, another historic record. 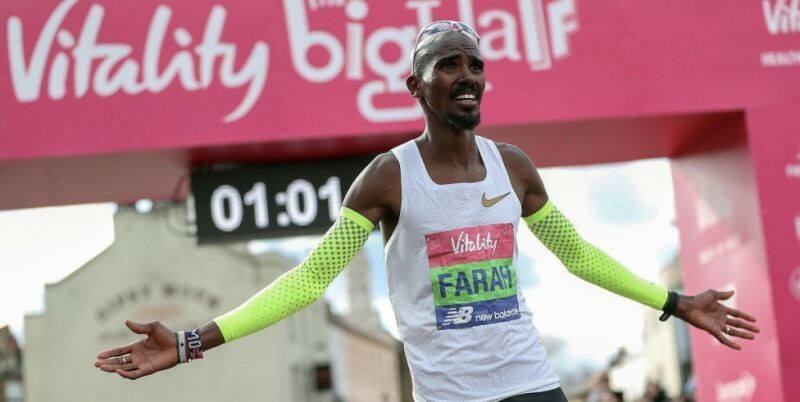 Farah, the 2018 Chicago Marathon champion, clocked a time of 61 minutes and 14 seconds, which proved too much for training partner Abdi and former London Marathon champion Daniel Wanjiru. Abdi was second in 61:16 and Wanjiru third in 61:17. Farah said: "The conditions weren't great today so I'm pleased to win, although it would have been nice to run a bit faster and really test myself. I'm happy with the win and with how my preparations are going ahead of the London Marathon in April. "The London Marathon is still quite a long way away but I'm happy with my progress and it was nice to be able to race today." The women's race was won by last year's champion Charlotte Purdue in 70:38, with Steph Twell second in 71:33 and Charlotte Arter third in 71:44. 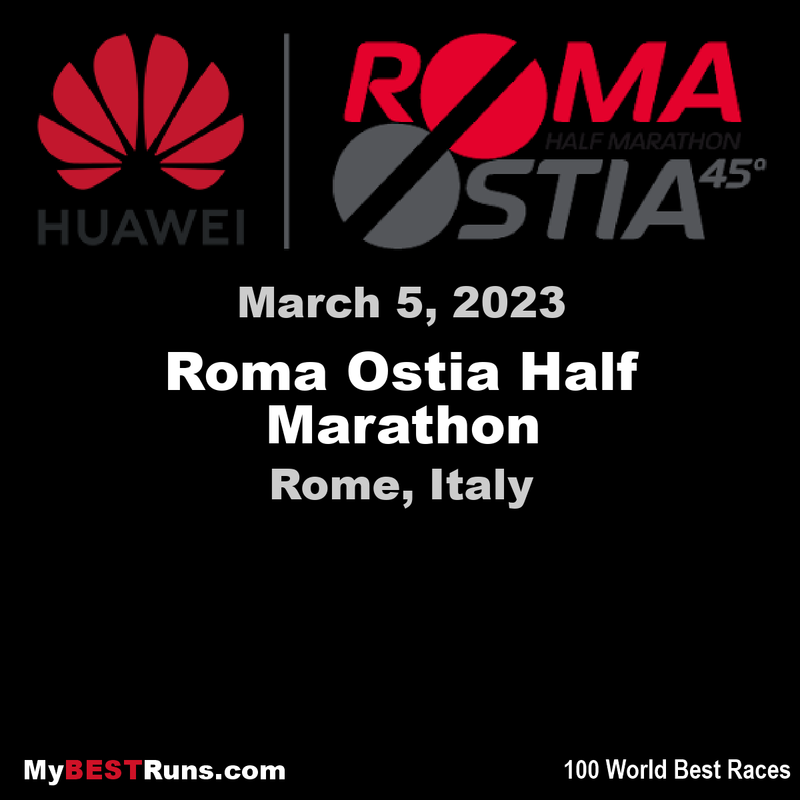 The Roma-Ostia Half Marathon once again lived up to its reputation as being a fast race with a winning time of 01:00:17 by Ethiopian runner Guye Adola in the men’s race and 01:06:40 by Lonah Chemtai Salpeter, of Israel, in the highly anticipated women’s race. Adola, winner of the 2017 edition of this competition, now in its 45th year, ran a smart race, tucking into the lead pack for most of the way until a final sprint to the finish, beating Kenian Geoffrey Yegon by 6 seconds in a race that saw 8,456 finishers run from Rome’s EUR neighbourhood to Ostia, the city’s honky tonk beach town. In the women’s race, Salpeter, bettered her PB by 1:15, running a constant pace of 3:08/km, while the American Jordan Hasay, finished with a time of 01:11:06, well above the expected PB that everyone was hoping to see her run. 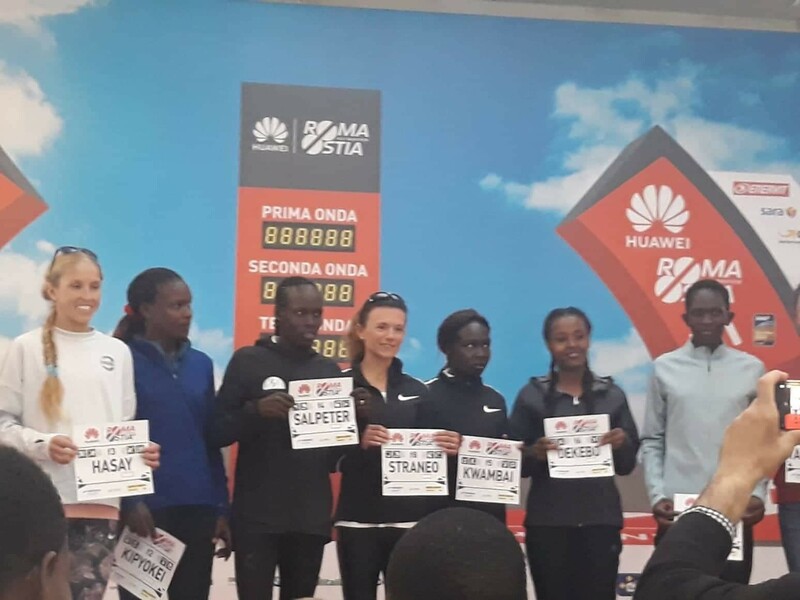 At the presentation of elite runners on Saturday, Hasay seemed to want to run a fast race and, with an identical PB as Salpeter, everyone was hoping for an exciting and fast duel to the finish. But today wasn’t going to be that day for Hasay. During the race, the live tracking for Hasay did not work so there were no live split times for her at the 5km, 10km or 15 km markers and commentators never mentioned where she was during the race. THE HAGUE -The NN CPC Run The Hague has been canceled. 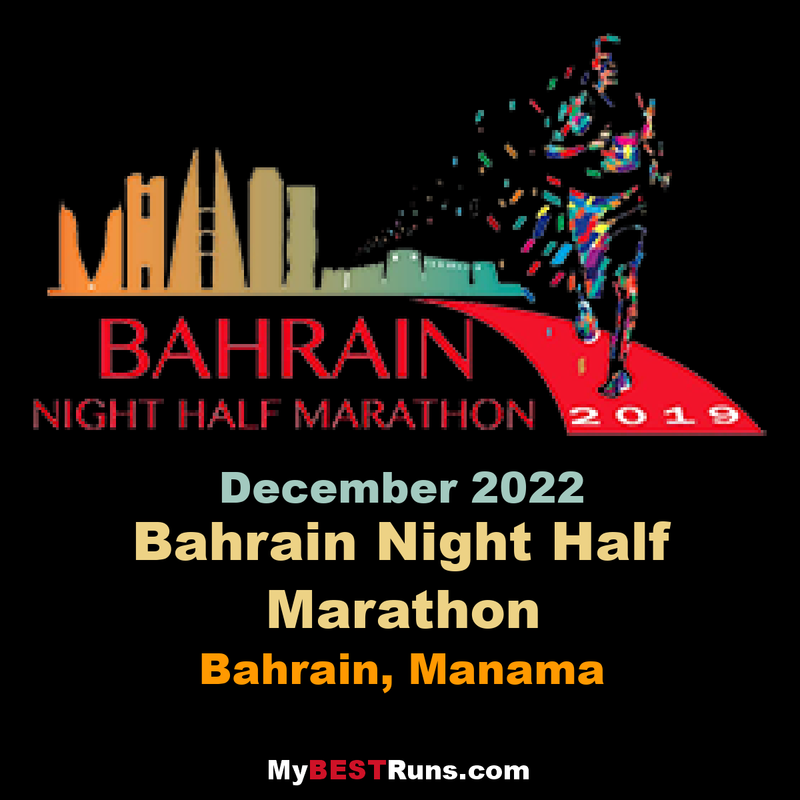 The organization does not consider it justified to have more than 41,000 runners start under the stormy weather conditions. 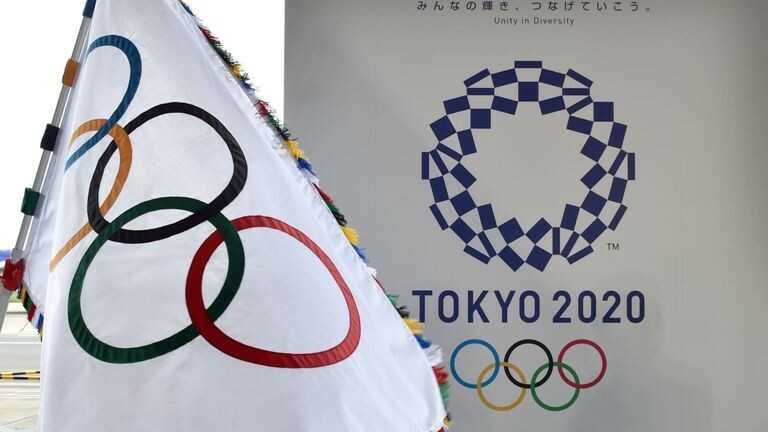 The organization announced on Saturday night that the course was going on for the time being, but in the end the strong wind decided to cancel the course, according to a spokesman. "The wind force is increasing to 7 with gusts up to 100 km per hour. Because of the very bad weather, the temperature of the feeling can drop to the freezing point, which creates an unsafe situation on the course and the Malieveld for both runners and the public." After consultation with the mayor and emergency services, the organization has taken the decision to cancel the event. The organization says it regrets the measure. 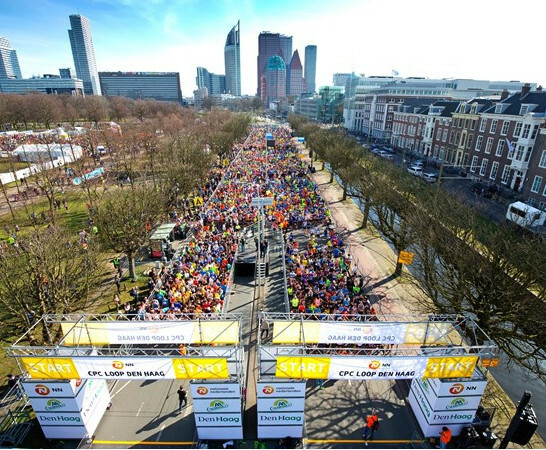 "We, too, have been looking forward to this 45th edition of the NN CPC Run The Hague. 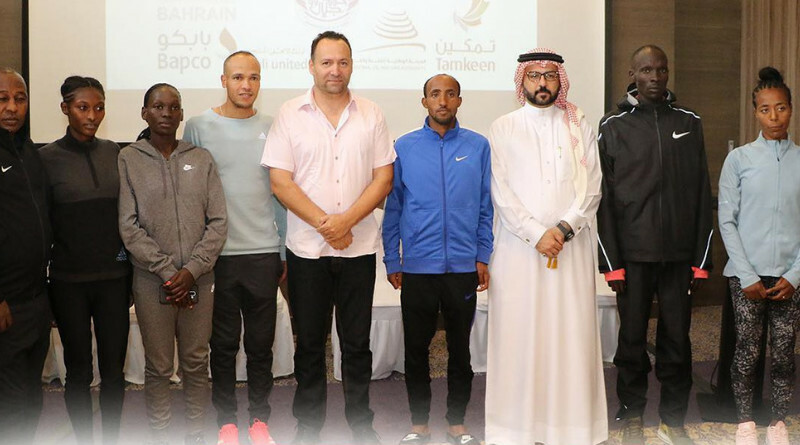 A setback for everyone who is looking forward to it, but the safety of the runners, volunteers, spectators and other people involved is always at the forefront of the NN CPC course in The Hague." The organization calls on people not to come to the Malieveld. The organization does not yet want to make any statements about what happens to the registration fee and any alternative course at another time. "We'll come back to that later." Reaction Krikke Mayor Pauline Krikke calls it 'unfortunate' for the more than 41,000 enthusiastic runners that CPC can not continue. "A cheerful sporting event, one of the biggest events in our city every year." The mayor was at the Malieveld on Sunday morning around half past seven to view the weather conditions with the organization and relief workers. 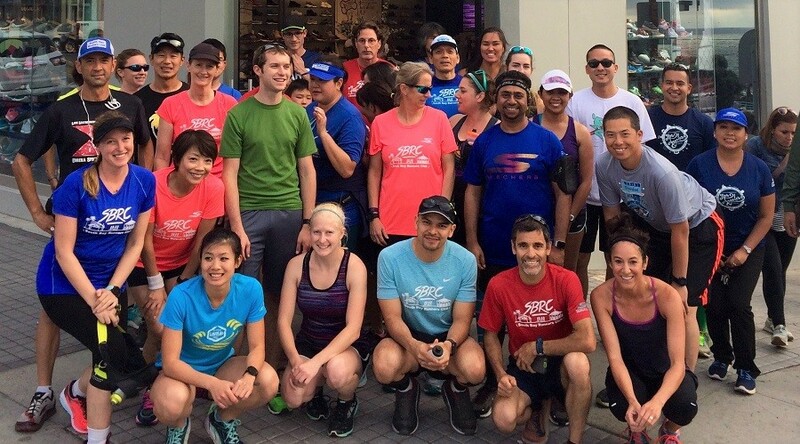 She shows understanding for the choice not to let the run go: "No matter how beautiful the event is and no matter how much I give the runners their game, the safety of the participants is always paramount." Namibian runner Helalia Johannes on Sunday won the Nagoya Women’s Marathon, a race through which five Japanese punched their tickets for this fall’s Marathon Grand Championship, which will serve as a qualifying race for the 2020 Olympics. Johannes broke away from a three-woman lead pack to win in 2 hours, 22 minutes and 25 seconds in the race, which started and finished at Nagoya Dome, while Reia Iwade finished fifth for Japan’s best result. Iwade, who set a personal best of 2:23:52, had already qualified for the Sept. 15 race in Tokyo, but Kayoko Fukushi (2:24:09), who finished eighth, and Miyuki Uehara (2:24:19), who was ninth, clocked sub-2:25:00 times to meet the qualifying standard for the MGC. Sairi Maeda (2:25:25), Mizuki Tanimoto (2:25:28) and Ayano Ikemitsu (2:26:07), who placed 10th, 11th and 12th, also earned MGC berths, bringing the entry tally for Japanese women to 14. “I still had strength in my legs in the end. I think I did well,” said Iwade, who improved her personal best set at the Nagoya Women’s Marathon three years ago by 46 seconds. Iwade was eight seconds behind Fukushi in eighth at the 40-km point but moved up three places over the final two kilometers. She was the only competitor who entered the race having already qualified for the MGC. Visiline Jepkesho (2:22:58) and Valary Jemeli (2:23:01), the two Kenyan runners who moved to the front around the 35-km mark, finished second and third. The Nagoya Women’s Marathon was the last domestic chance for Japanese women to qualify for the MGC. 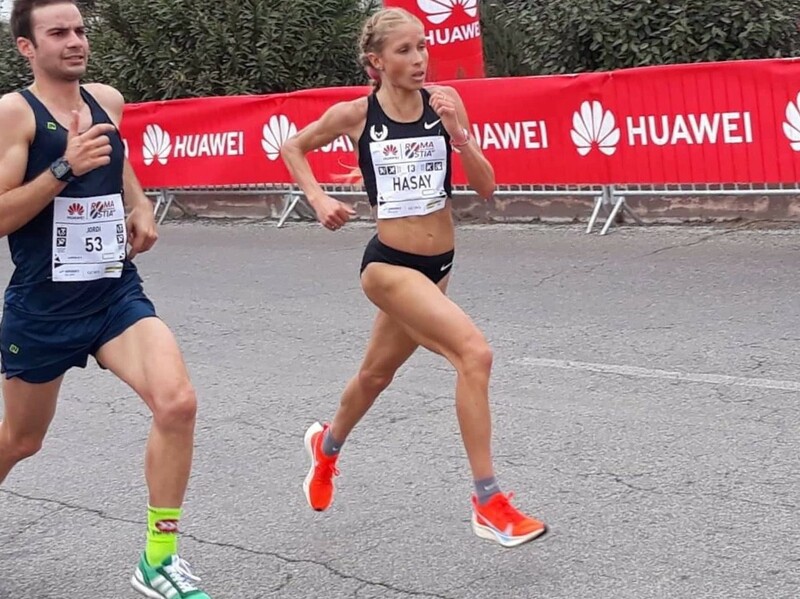 American distance star Jordan Hasay may be set to break the American record in the half marathon tomorrow at the Huwai Roma Ostia Half Marathon. The current American record of 67:25, set in January 2018 by Molly Huddle, is only 30 seconds faster than Hasay’s PB of 67:55, set in 2017 at the Prague Half Marathon. And while this time is good, it does not correspond to her PB of 2:20:57 run at the Chicago Marathon that same year. During a presentation of the elite athletes today at the Roma Ostia Village, former Italian distance runner Gianni De Madonna – 2nd at the New York City Marathon in 1987 – asked the top athletes about their plans for the race. Hasay’s main competition, Lonah Chemtai Salpeter, from Israel who also has a PB of 67:55, said that she hoped for a fast race as she wanted to improve her time. When De Madonna asked if she was hoping for a time of 66 to 66:30, she laughed and said that she would do her best to stay with the pacers that they will be following. In the men’s race, 2017 winner Guye Adola is back for a repeat victory. Adola, from Ethioia, was an unknown in 2017 when he crossed the finish line in 59:48 but made a name for himself several months later when he came in 2nd to Eliud Kipchoge at the Berlin Marathon with a time of 2:03:46, only 14 seconds behind the current world record holder in the marathon. 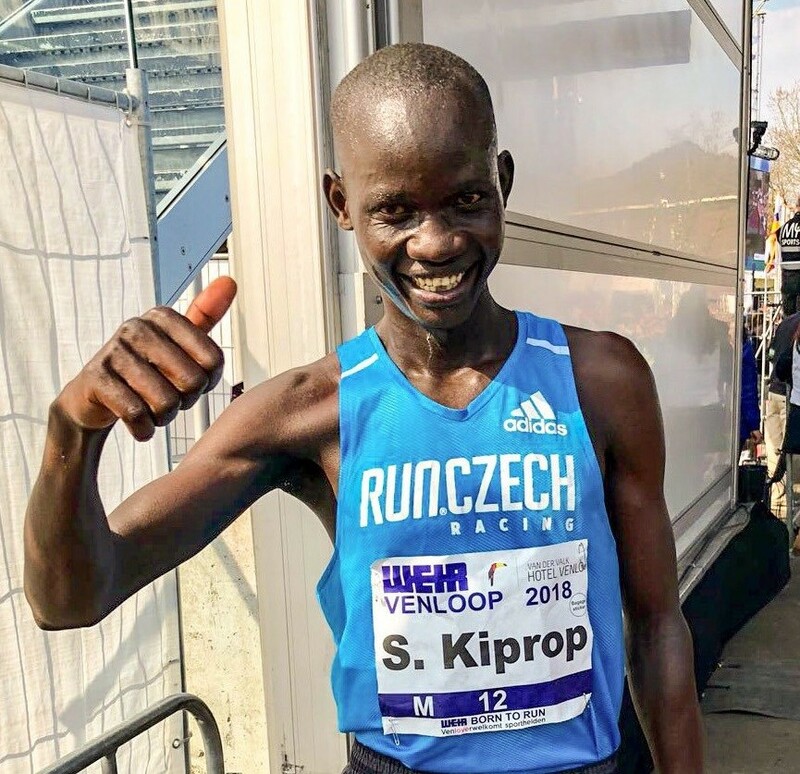 The weather should be ideal for racing: cloudy with a high temperature of 14 C.
The redemption portion of the event was delivered by Kipchirchir, who had paid his dues in the run. He finished second twice, 2016 and ’18, beaten by the two men who he edged Saturday. "I mean those guys … I was sick of them," Kipchirchir said. "Three years ago. Kebenei beat me by a microsecond. Then two years ago, Lenny outkicked by microseconds. Today I wanted to come and knock them in their head. That was my main aim." Kebenei won the 2016 run in 44:37, just 2 seconds in front of Kipchirchir. Korir (43:23) won the 2018 Gate by 1 second over Kipchirchir. Korir was trying to become just the fifth male runner to win the event three consecutive years. Six elite runners were within two seconds of each other with a mile to go on the Hart Bridge, Martin Hehir, Frankline Tonui, Kipchirchir, Kebenei and Korir.